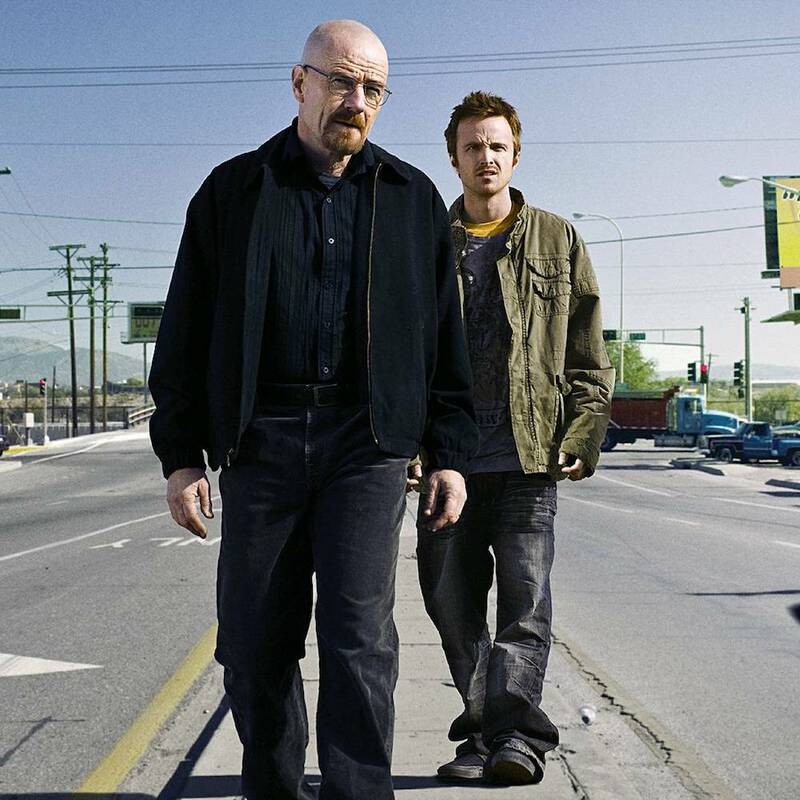 Breaking Bad was one of the most popular shows on TV so it is hardly any surprise that lots of people either want to dress like Walter White or want to create a Walter White costume. 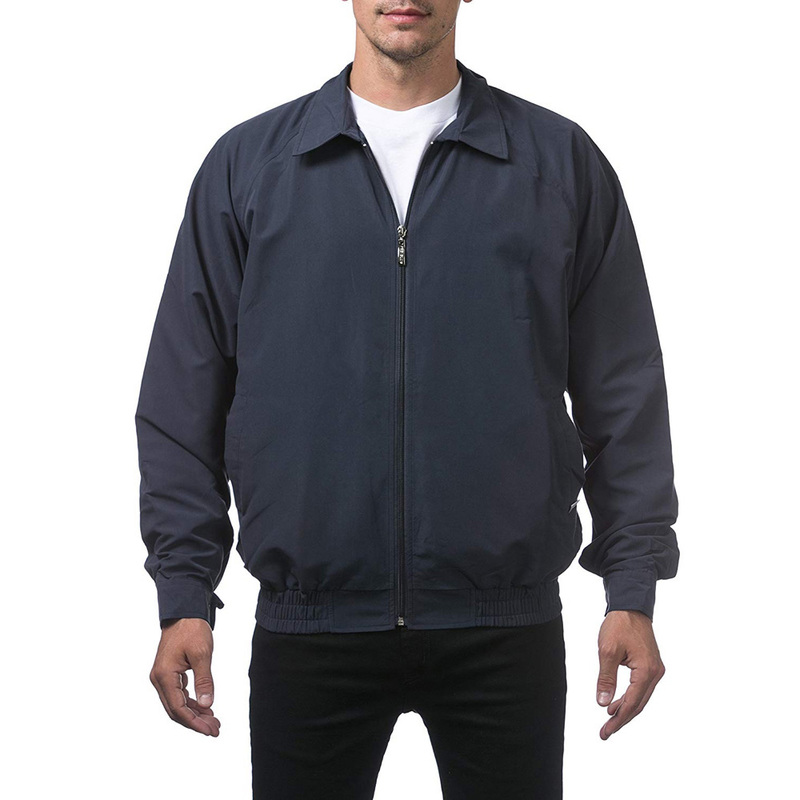 Depending on if you want to dress like Walter White and copy his style or create a Walter White costume for halloween or for fancy dictates what you will need to buy. 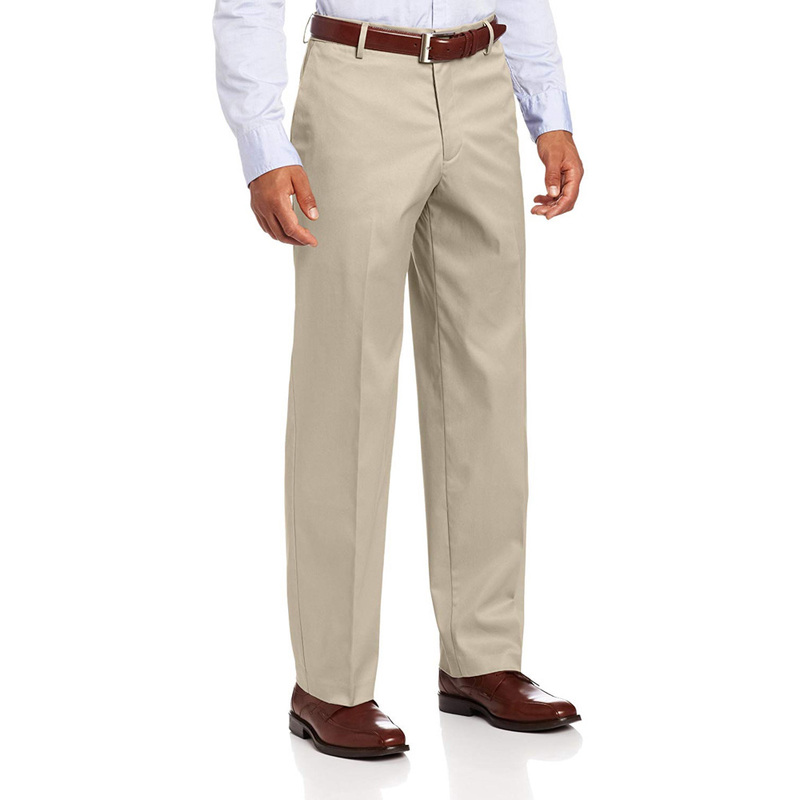 If you are just wanting to copy his style then you will need a few simple items of clothing. 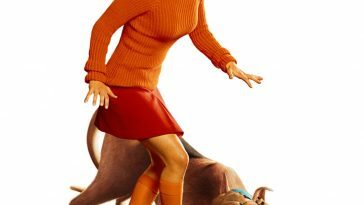 If you want to create a costume you have several choices. 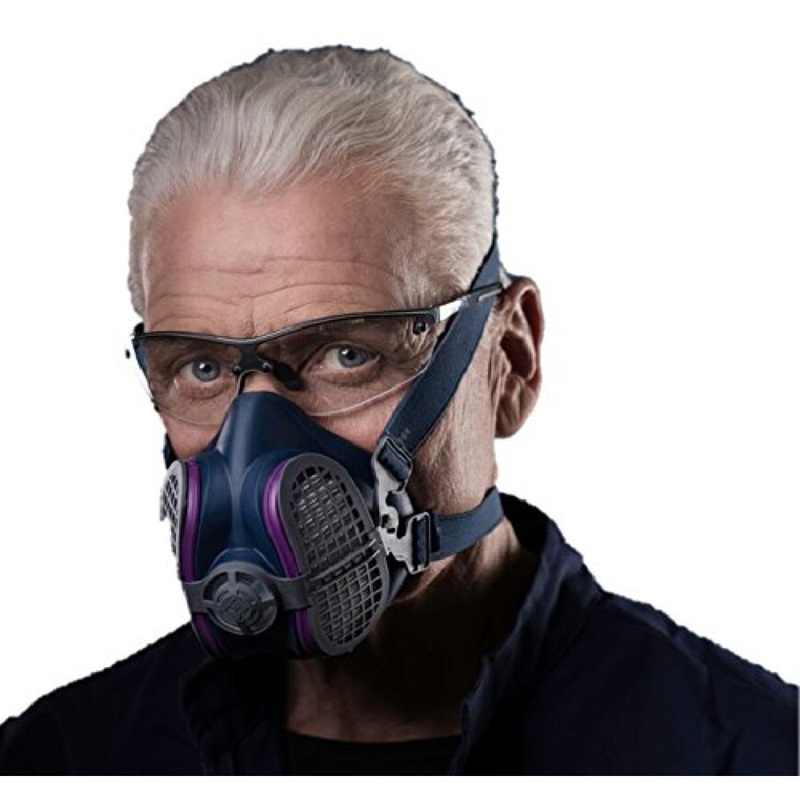 To make your Walter White costume instantly recognisable there are three choices you have. 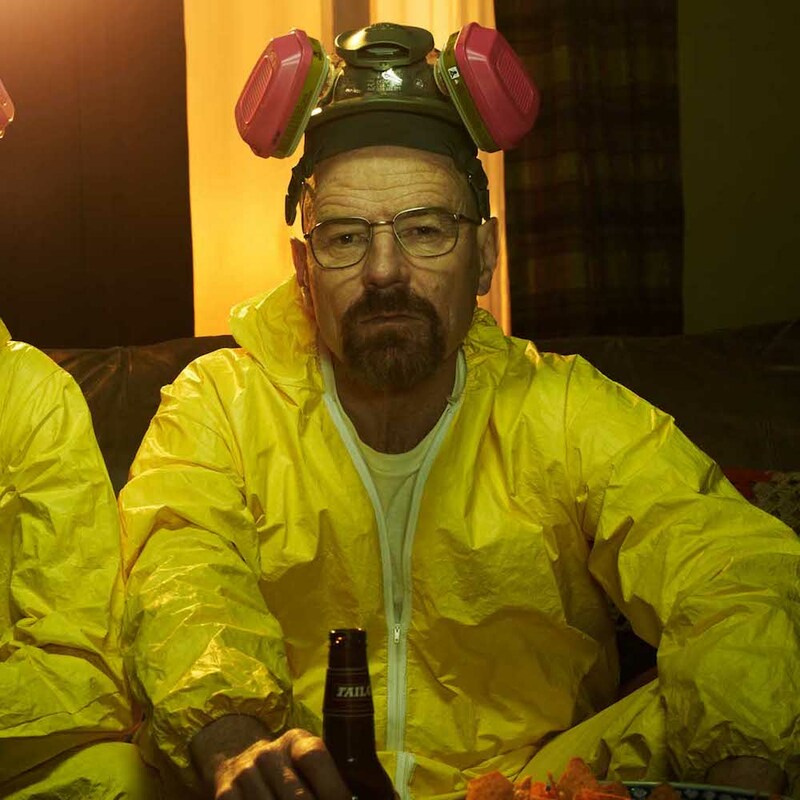 You could either choose the Heisenberg costume, the Walter White in his underpants costume or Walter White in his yellow hazmat suit costume. 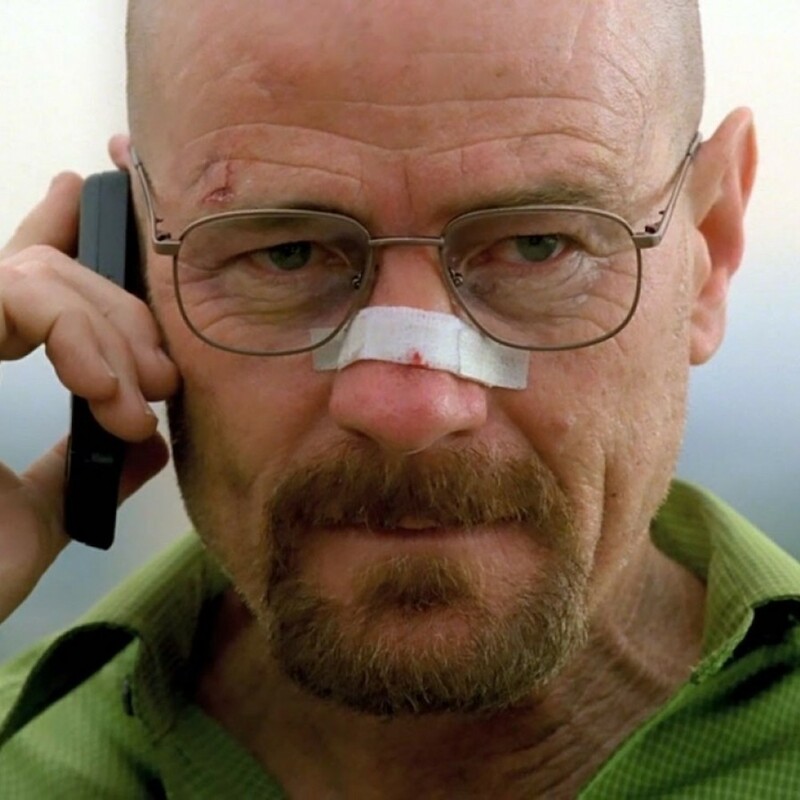 We will go through each Walter White costume idea before showing you how to dress like Walter White. 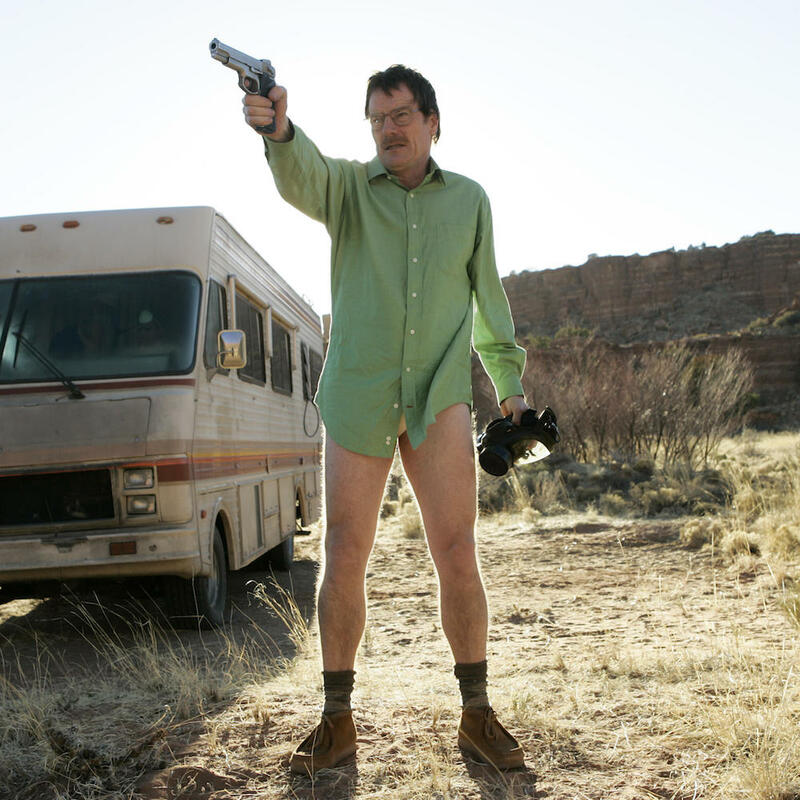 In the very first season of Breaking Bad, Walter White is seen having a bit of a mishap while out in the desert in the RV. 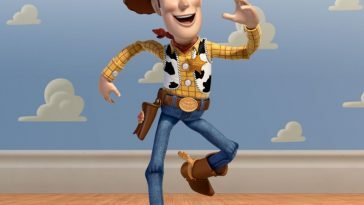 The end result is him stood at the side of the road wearing only his shoes, a green shirt and his underpants while holding a gun. 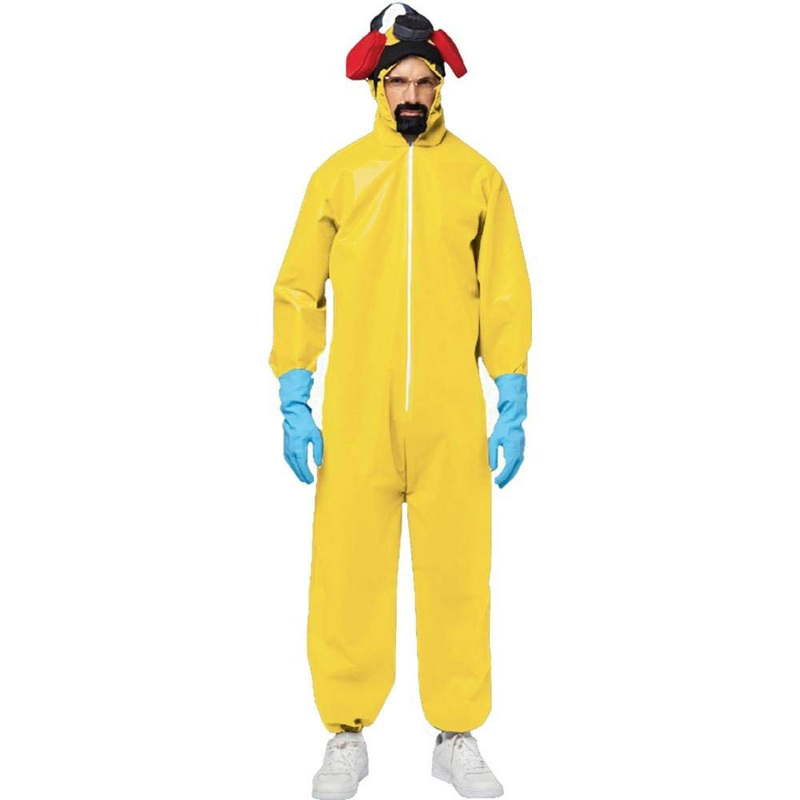 Everyone who has seen Breaking Bad will recognise someone in this form of Walter White costume which makes it perfect for fancy dress or a halloween costume. 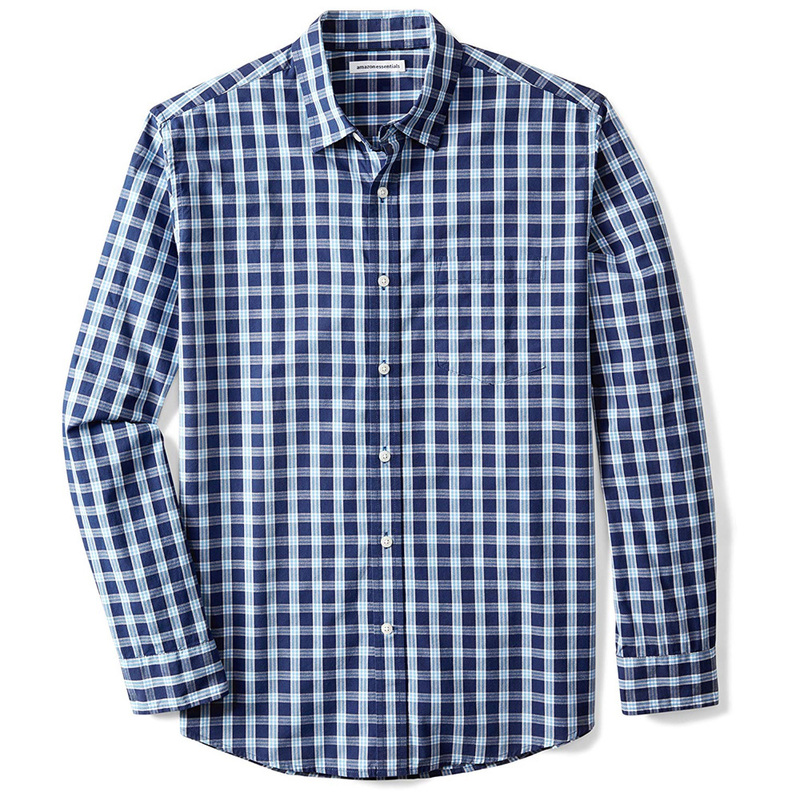 The main part of this costume will require you to dress like Walter White and copy his style. 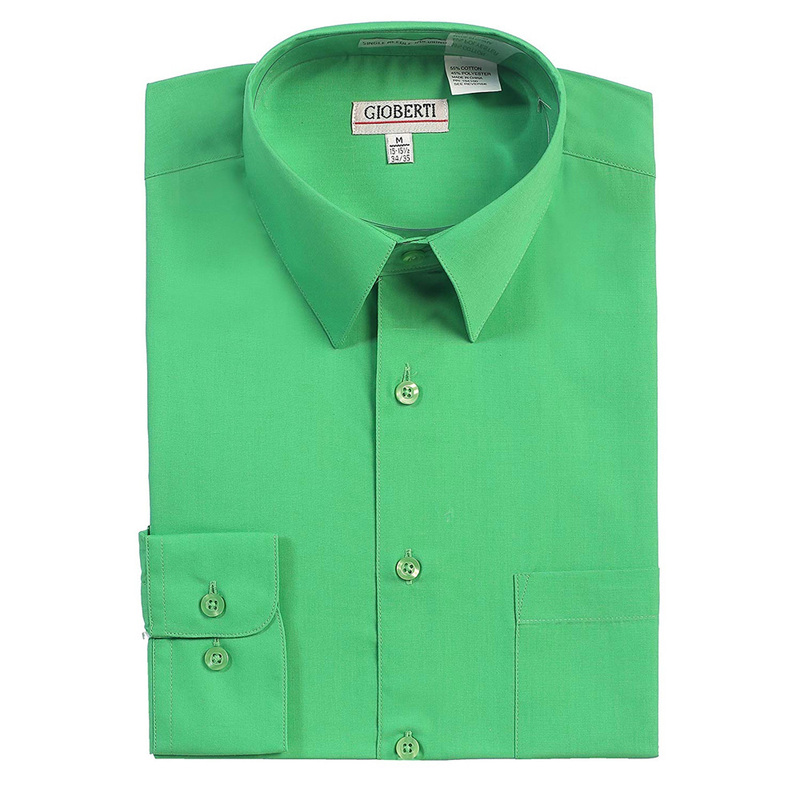 This means you will have to wear or buy a lightweight mens shirt in green. 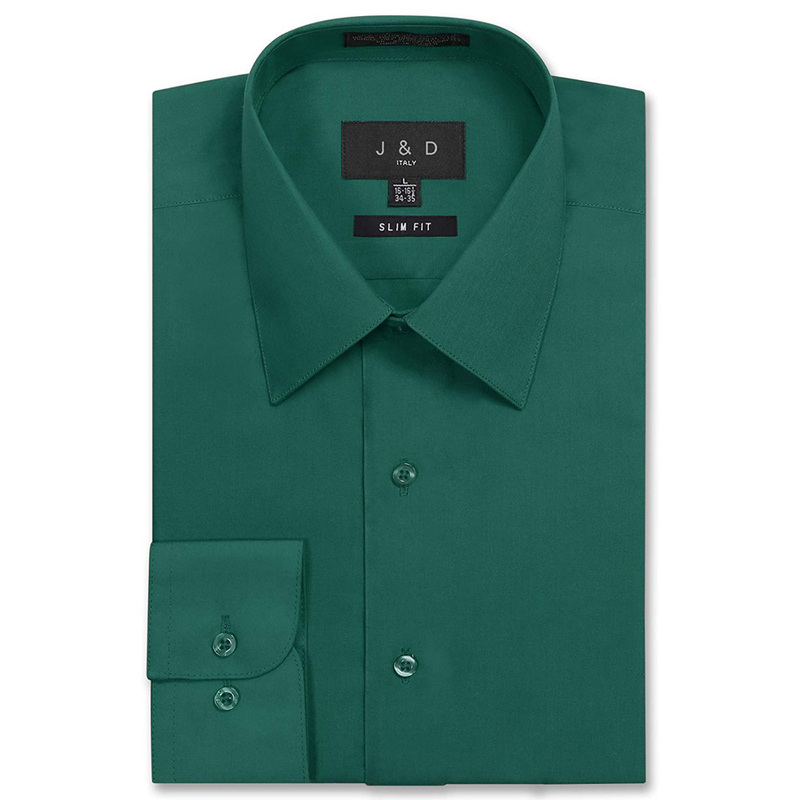 The sleeves need to be long and if you are trying to keep every tiny detail correct then you need to try and find a light green shirt with long sleeves and white buttons down the front. 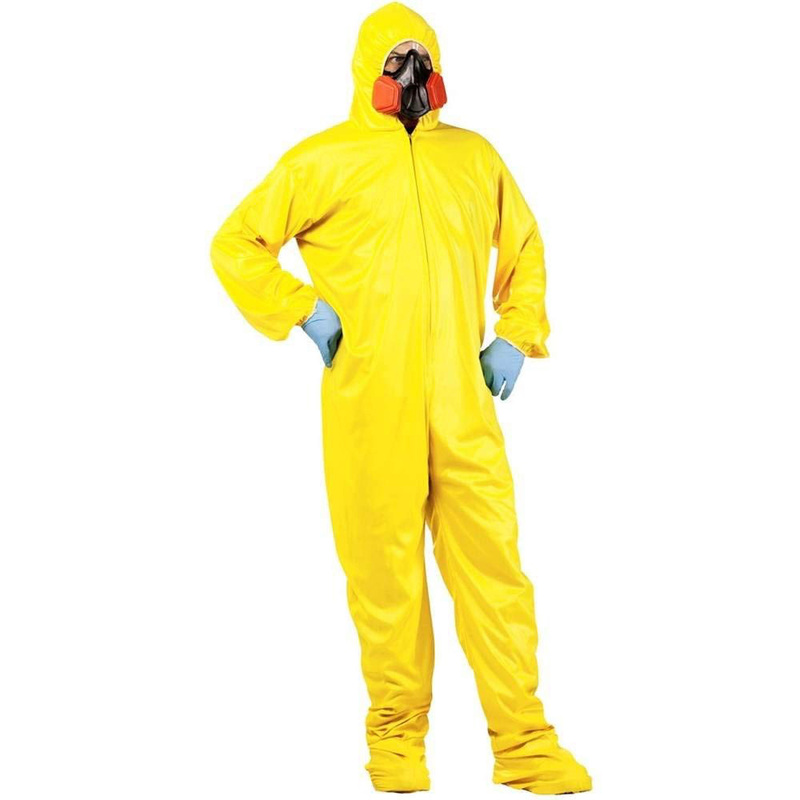 To pull of this version of a Walter White costume you are going to have to be comfortable stepping out in public in your underwear. 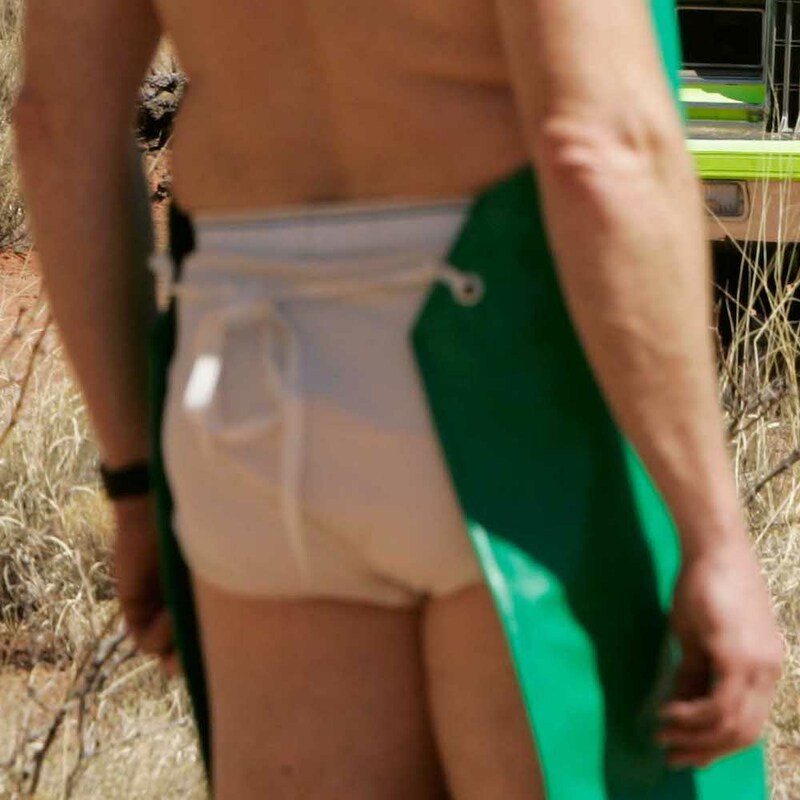 For this part of the Breaking Bad costume you will need a relatively loose fitting underpants and the underpants need to be white. 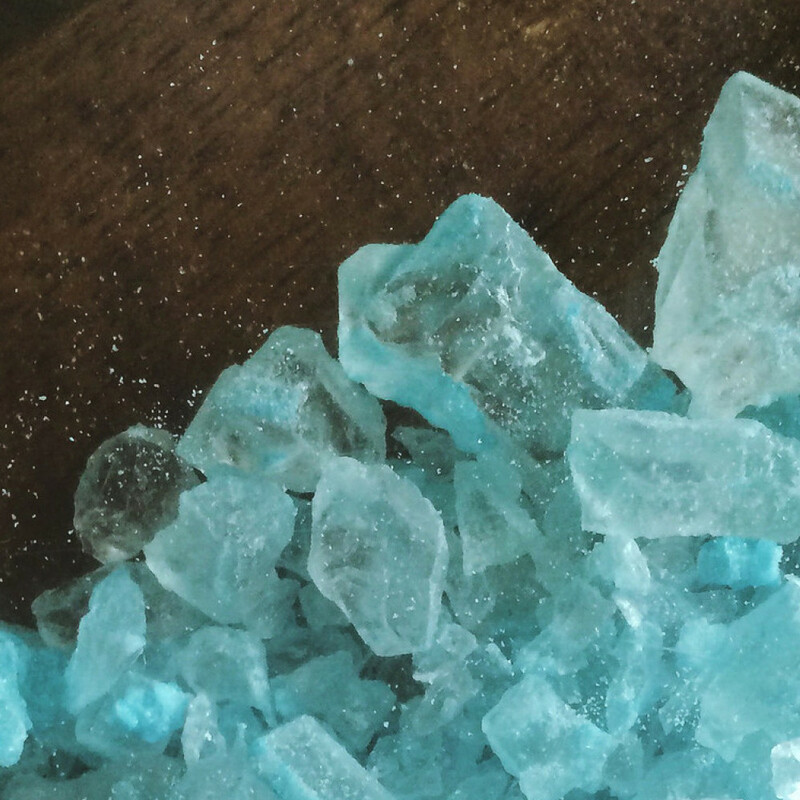 The underpants that Walter White wore in this scene were white with a very thin yellow and blue strip around the white waste band. 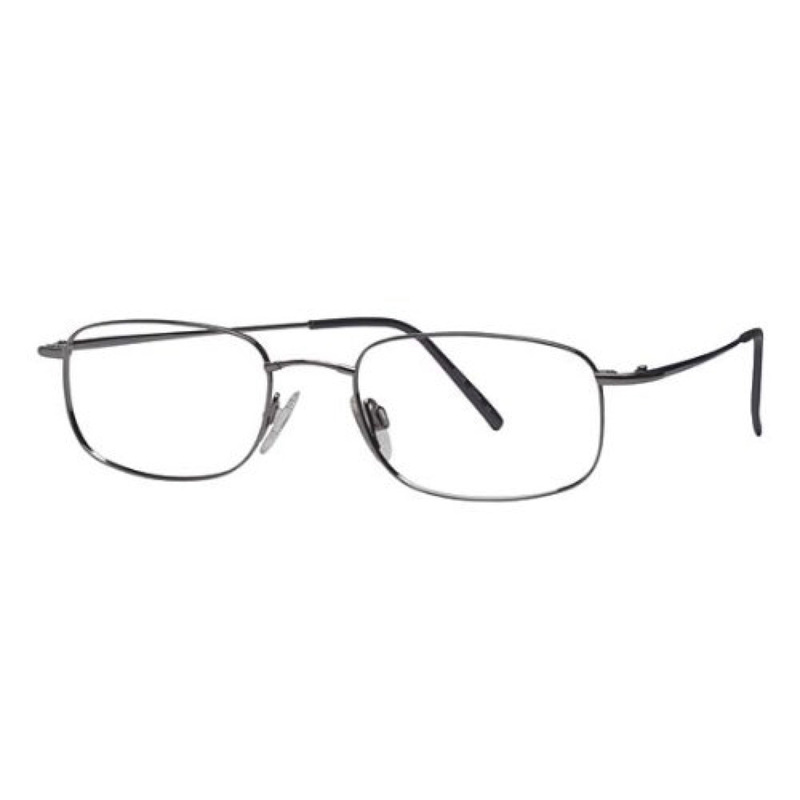 The eyeglasses that Walter White wears throughout the Breaking Bad series alter only a tiny bit from season to season. 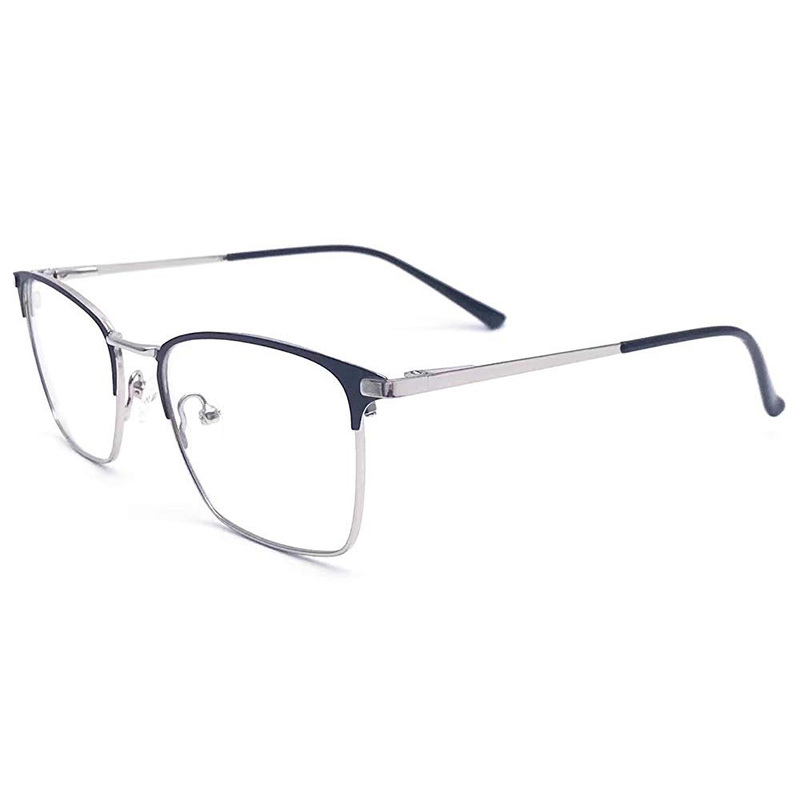 To create this specific Walter White costume and dress like Walter White you need a pair of thin framed eyeglasses. 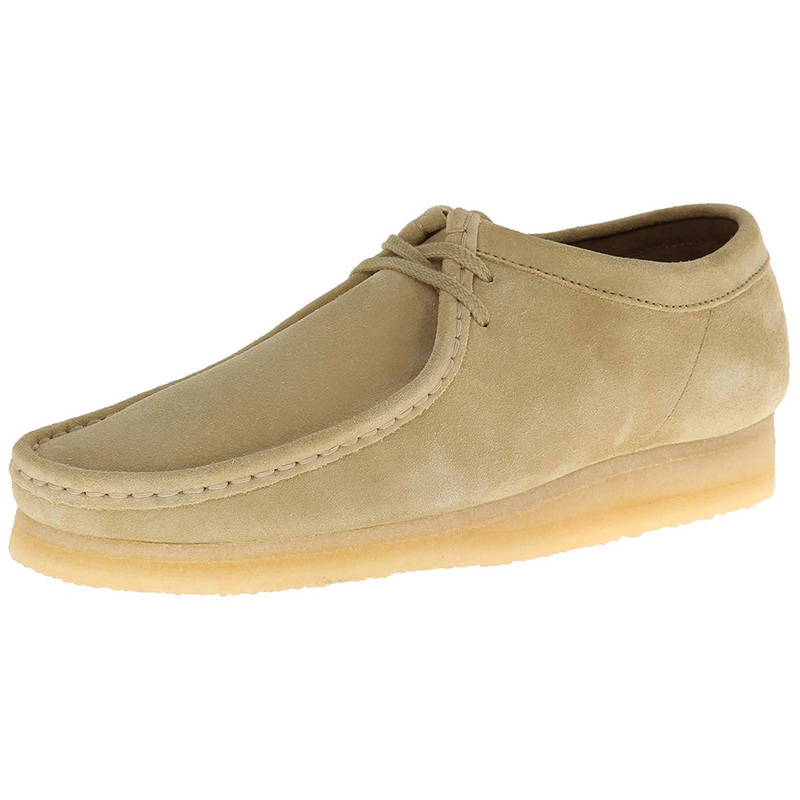 To dress like Walter White the shoes are important as they are somewhat distinctive. 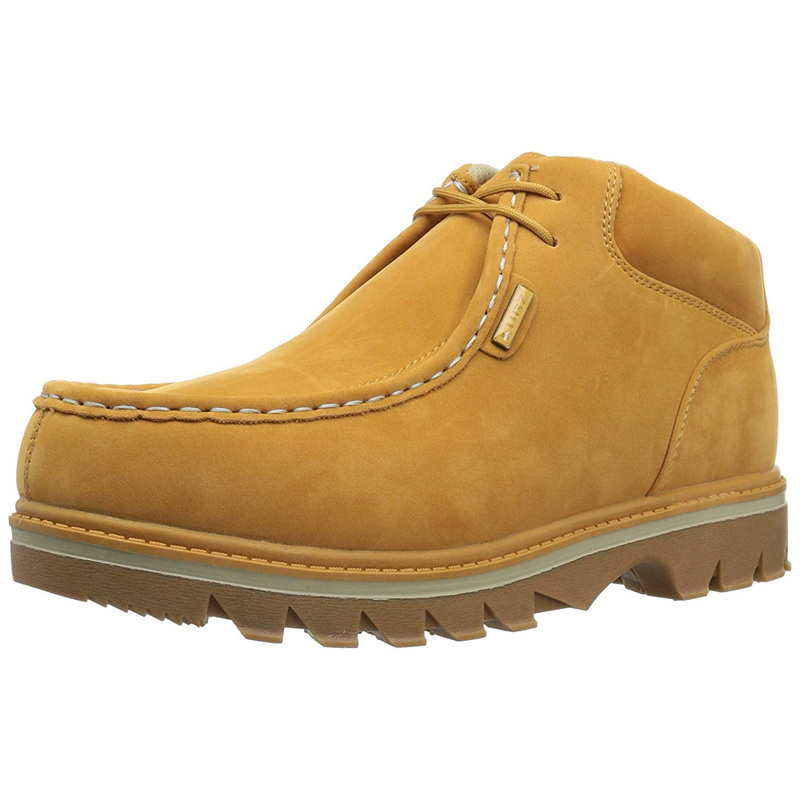 Since for this Walter White costume you will not be wearing any pants your shoes will stand out so they need to at least look like the ones Walter White wore. 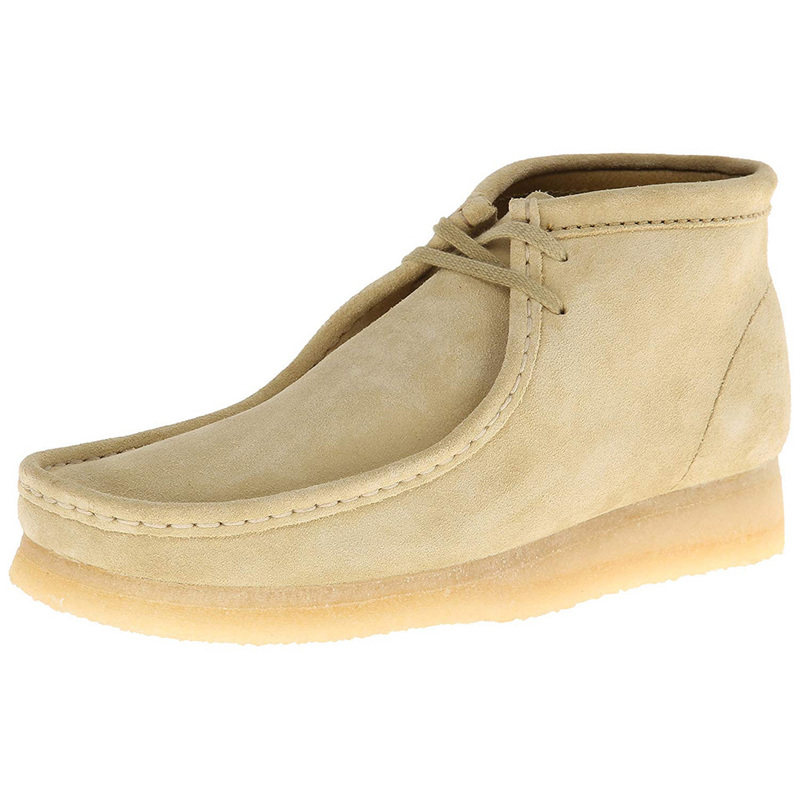 The shoes worn by Walter White were Clarks Wallabee shoes although similar alternatives can be found at a cheaper price. 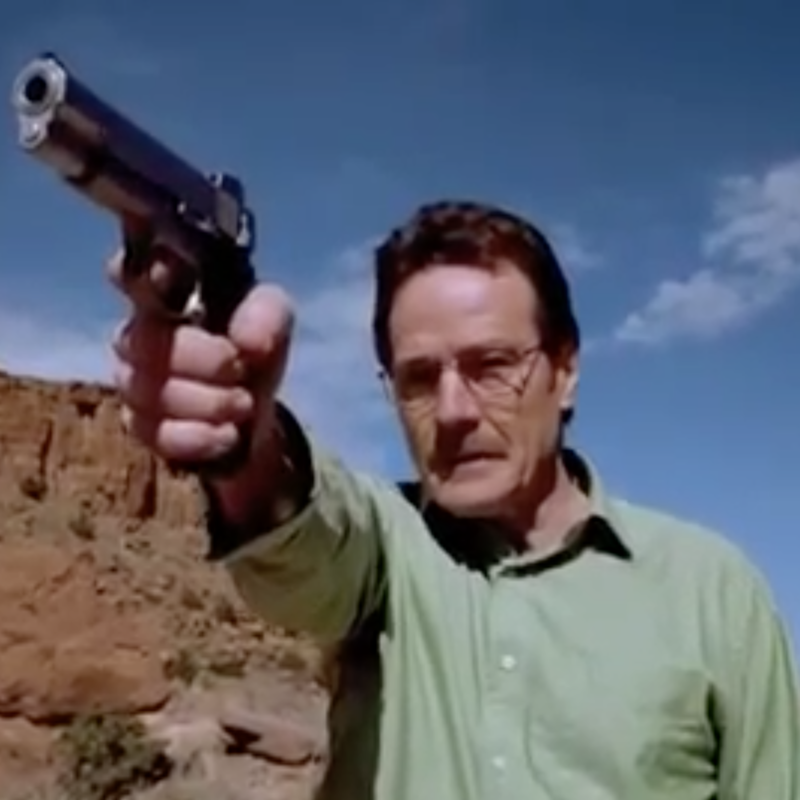 In the Breaking Bad underwear scene Walter White does indeed have a handgun. 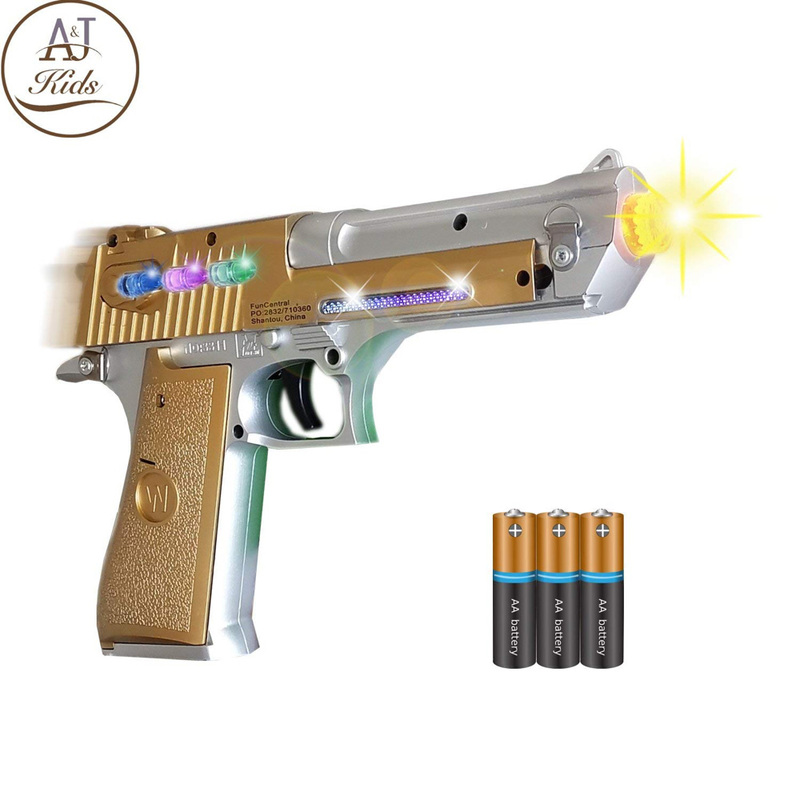 Any accurate Walter White costume really should have the gun for added effect. 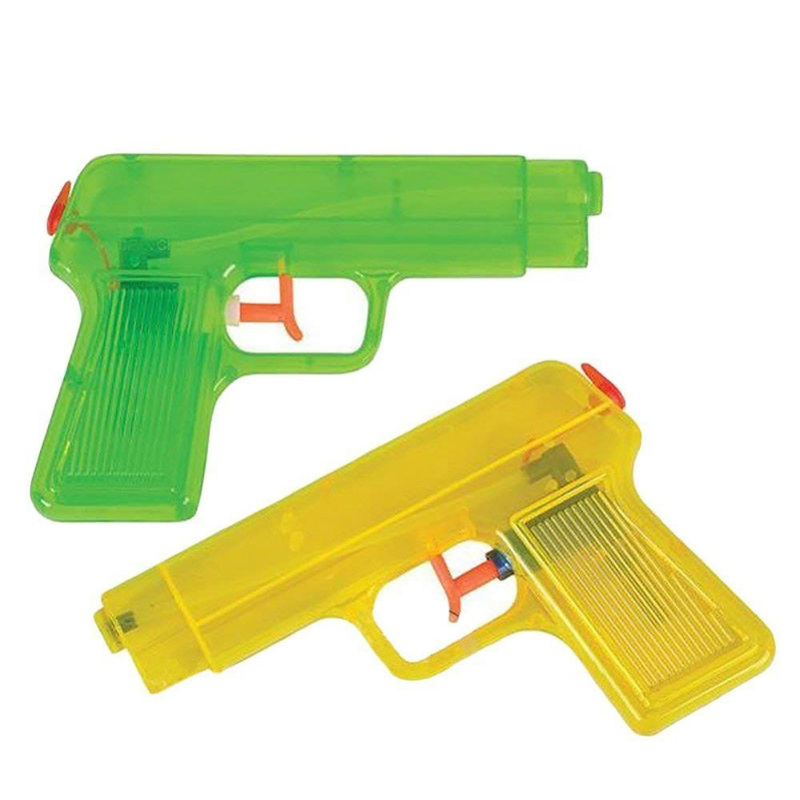 Obviously you are not going to carry a real gun to a fancy dress party or halloween party but replicas of the Smith & Wesson 4506-1 – .45 ACP used by Walter White can easily be bought. 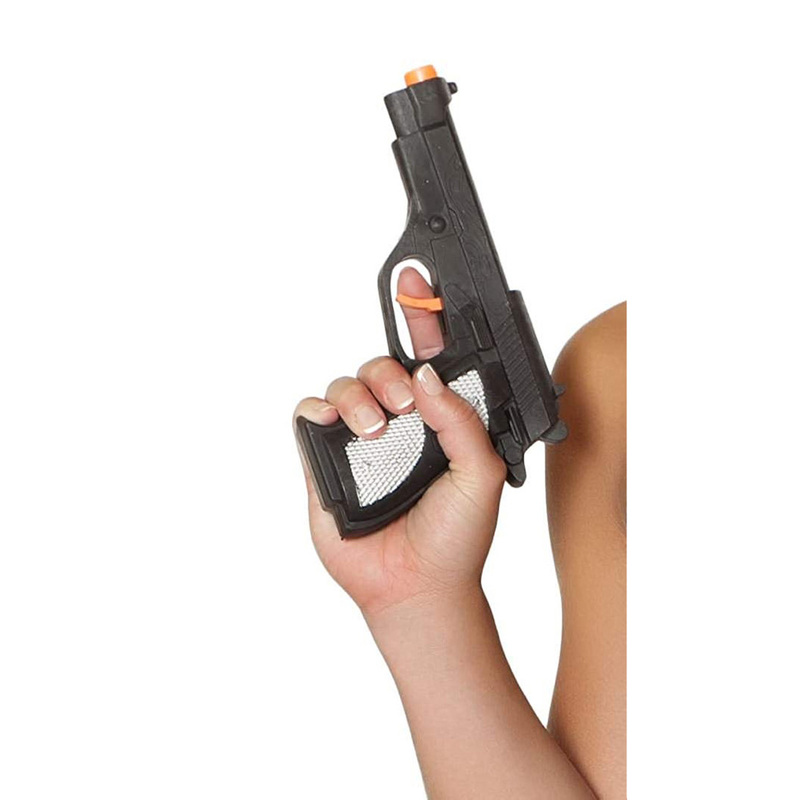 Just be careful walking down the street half naked with a replica gun. 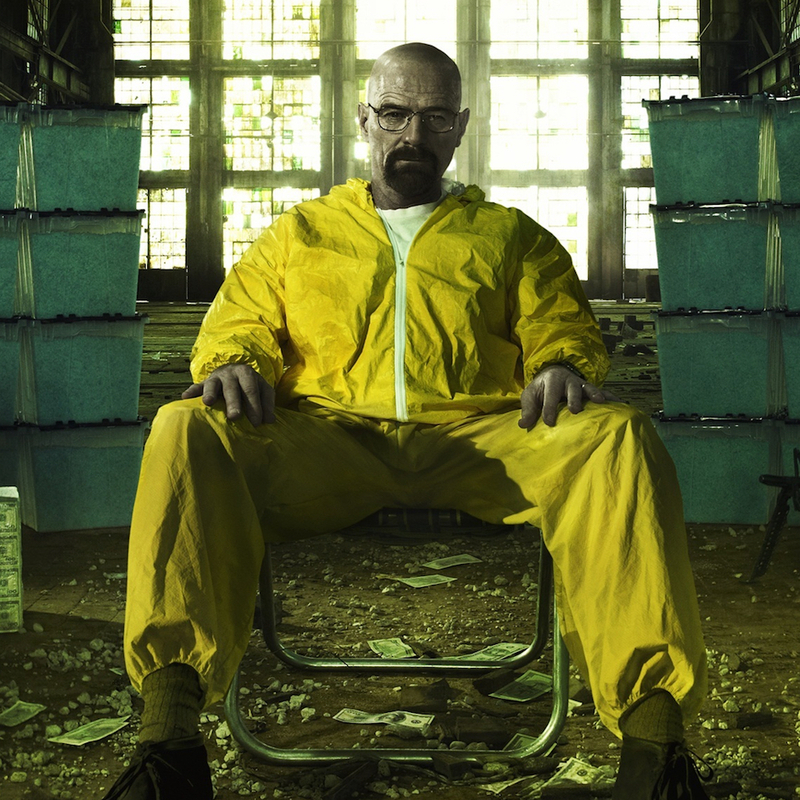 To dress like Walter White is one thing but the yellow hazmat suit that he wears is going to be one of the most recognisable Walter White costumes you could make. 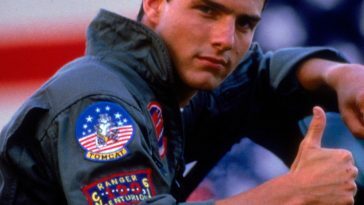 All you will need is a handful of items and you could have one of the most recognisable and coolest costumes ever. 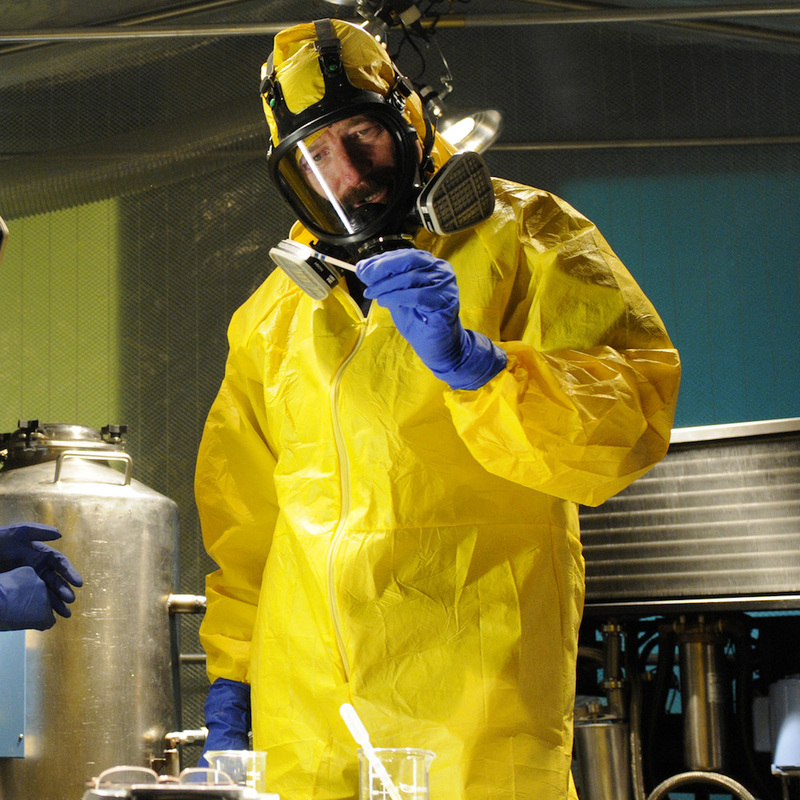 Even people who have never seen a single episode of Breaking Bad will most likely still recognise the Yellow hazmat suit as part of the TV show. 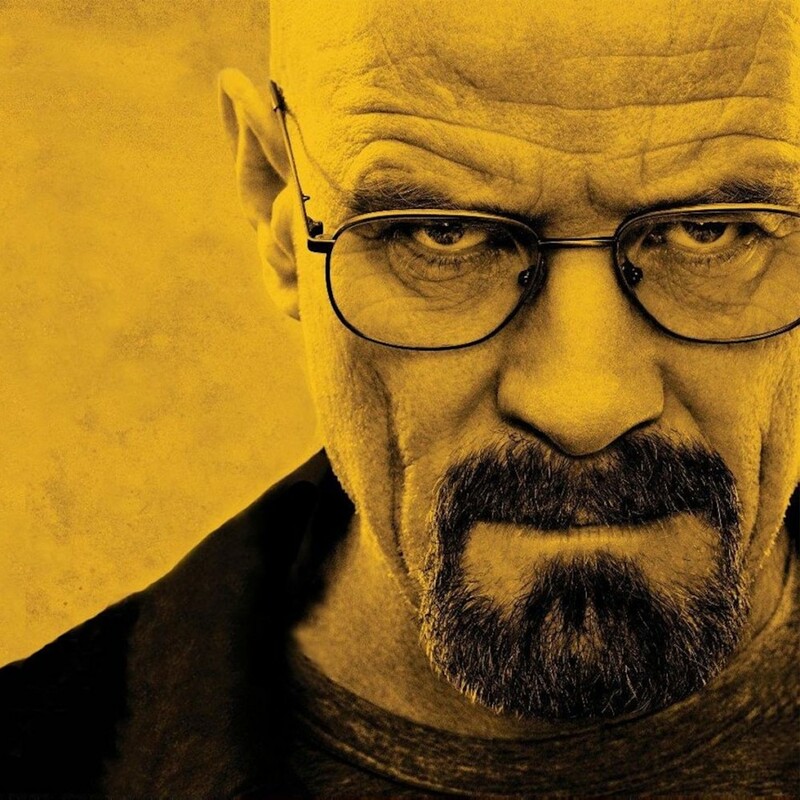 This is why a yellow hazmat suit is possibly one of the most recognisable Walter White costumes that you could create for halloween or fancy dress. 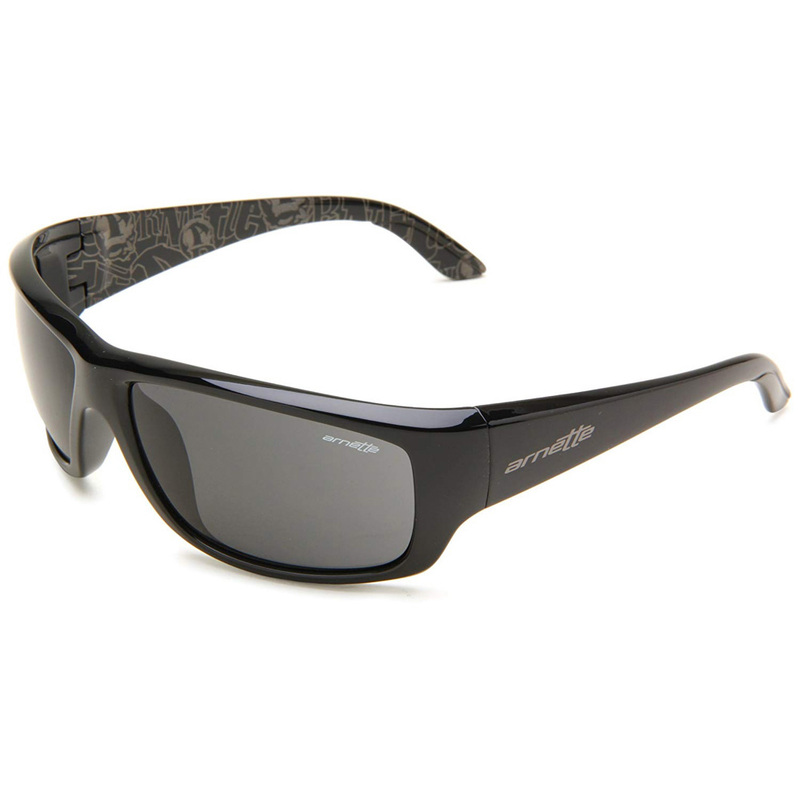 There are plenty replicas available that are a good price. 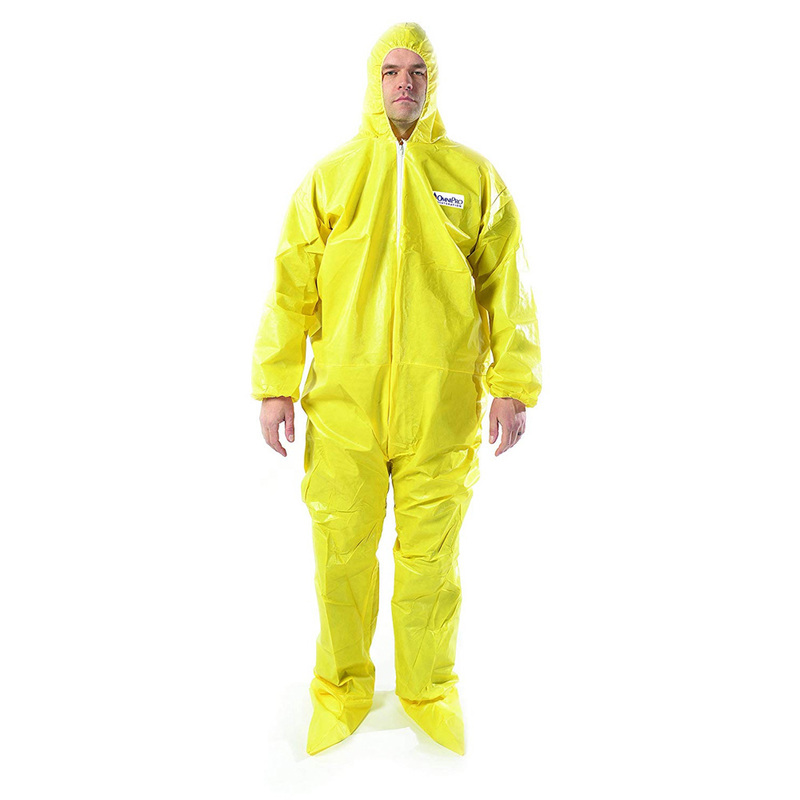 Wearing a yellow hazmat suit is certainly one of the main items of clothing you need in creating this version of a Walter White costume. 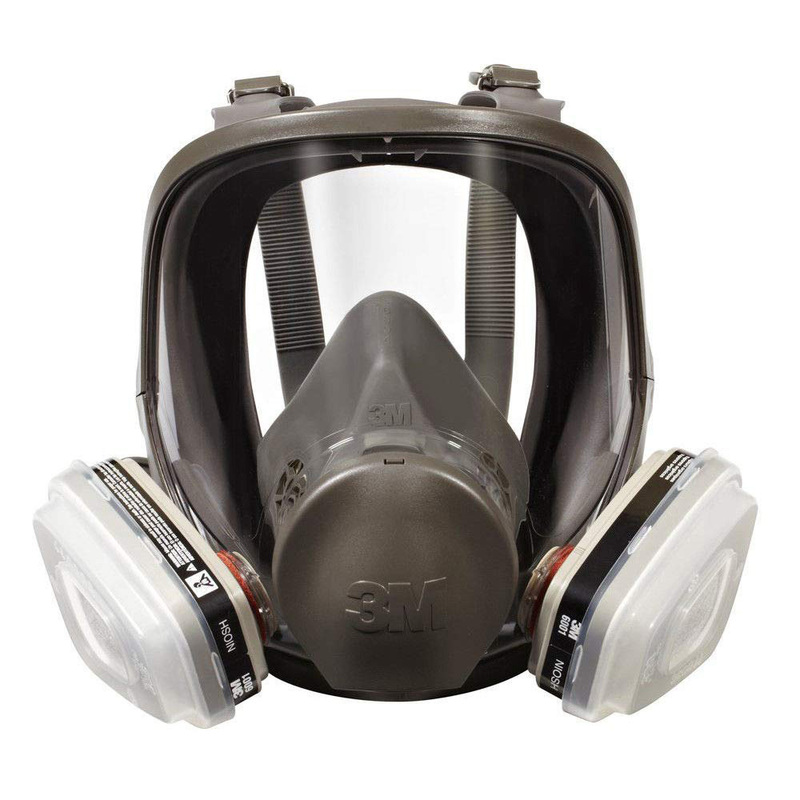 The respirator is what will make your Walter White costume instantly recognisable. 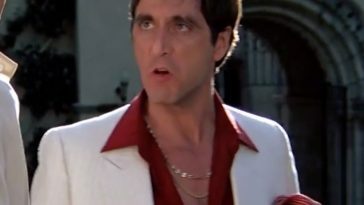 Without it you are just wearing a yellow suit but with it you have the choice of it been a Walter White costume or a Jesse Pinkman costume. Either way it is brilliant Breaking Bad costume. 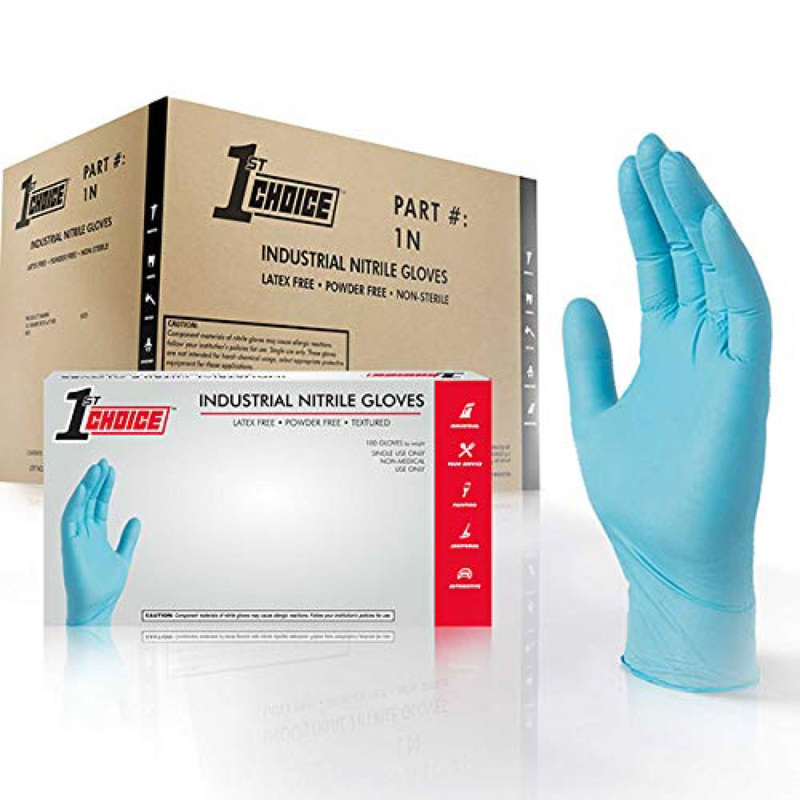 Sharp eyed fans of Breaking Bad will have noticed that while cooking his blue meth Walter White wears blue rubber gloves with his respirator and yellow hazmat suit. 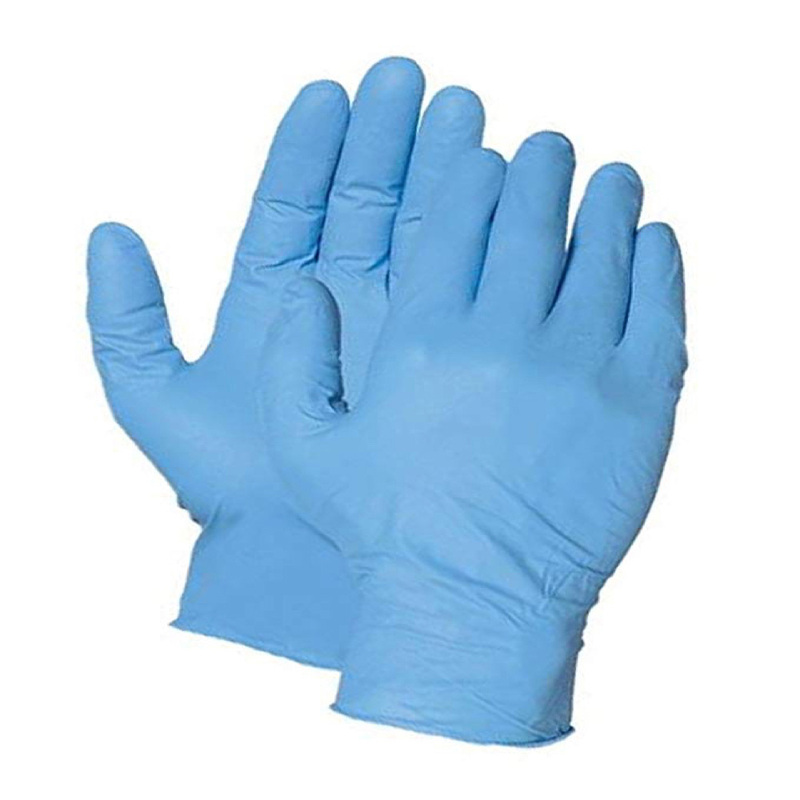 The blue gloves that Walter White wears are readily available. 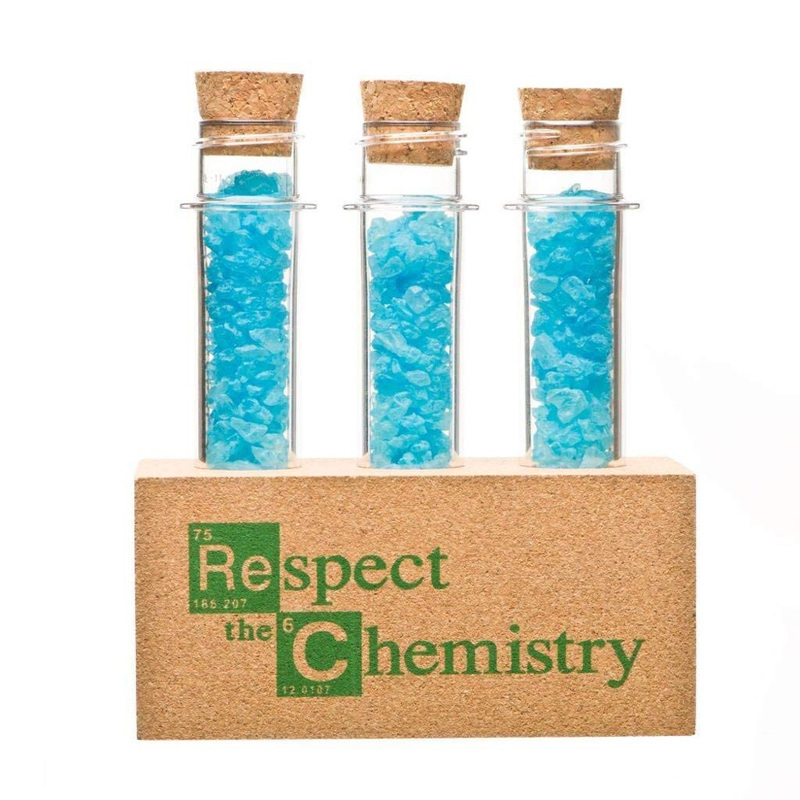 While they are not essential to your Walter White costume they are a nice finishing touch for authenticity. 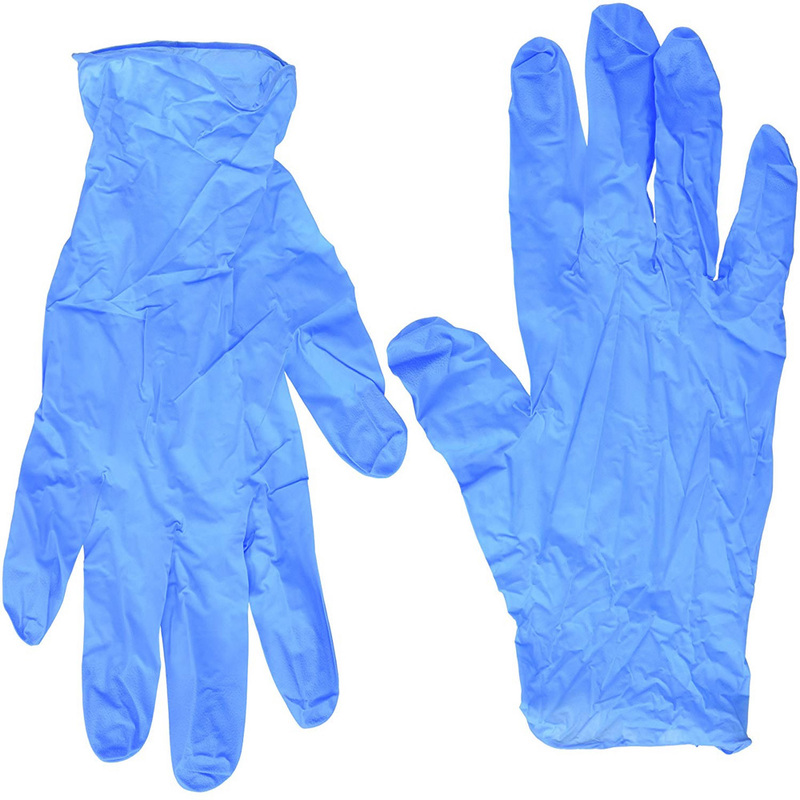 While wearing the yellow hazmat suit, respirator and blue gloves certainly makes a brilliant Walter White costume you can always take it that one step further by carrying a small bag of blue crystal meth. 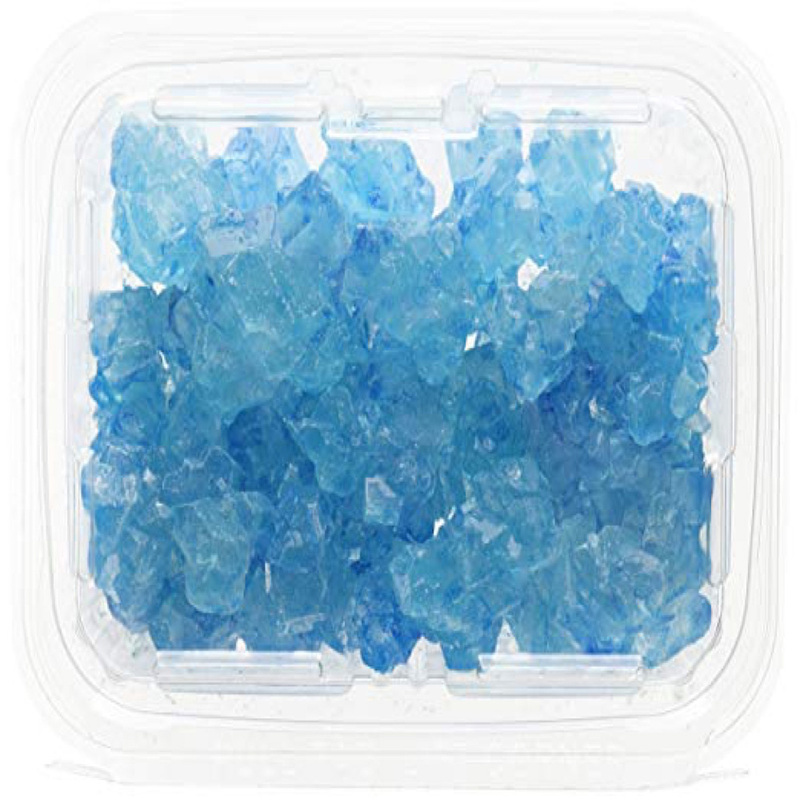 Obviously you will not be carrying real blue crystal meth but you can buy plastic replicas quite cheaply and put the replicas in a transparent freezer bag for added effect. Walter White as Heisenberg is another instantly recognisable character so a Heisenberg costume is a popular choice. 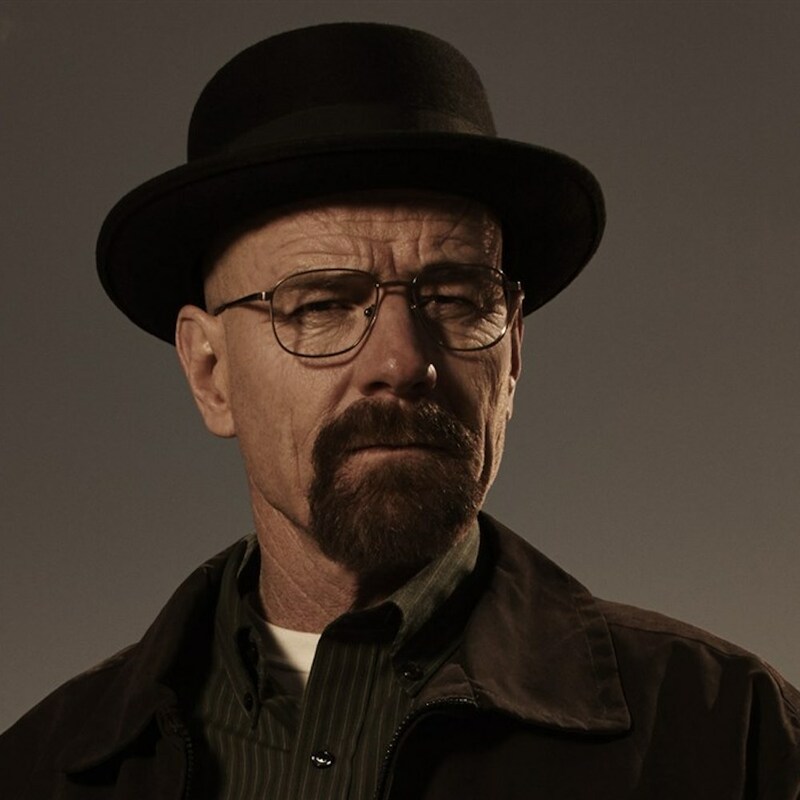 The main items you need for a Heisenberg costume is his Heisenberg hat, his Heisenberg sunglasses and a similar jacket. 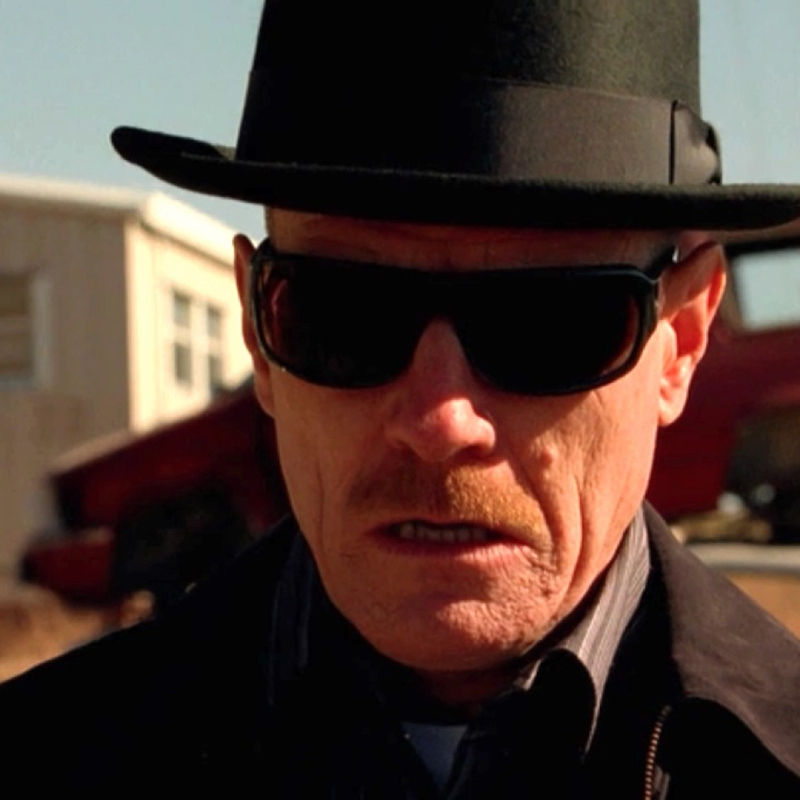 The hat worn by Walter White in Breaking Bad is the very item of clothing he wears when he is transformed into Heisenberg. 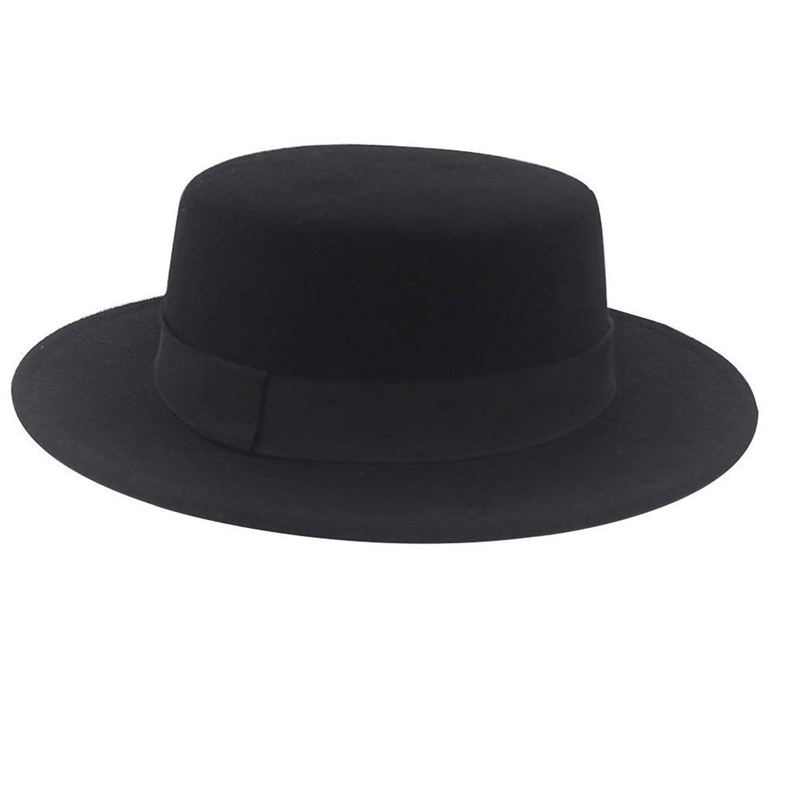 To become Heisenberg Walter White wears a black pork pie hat. 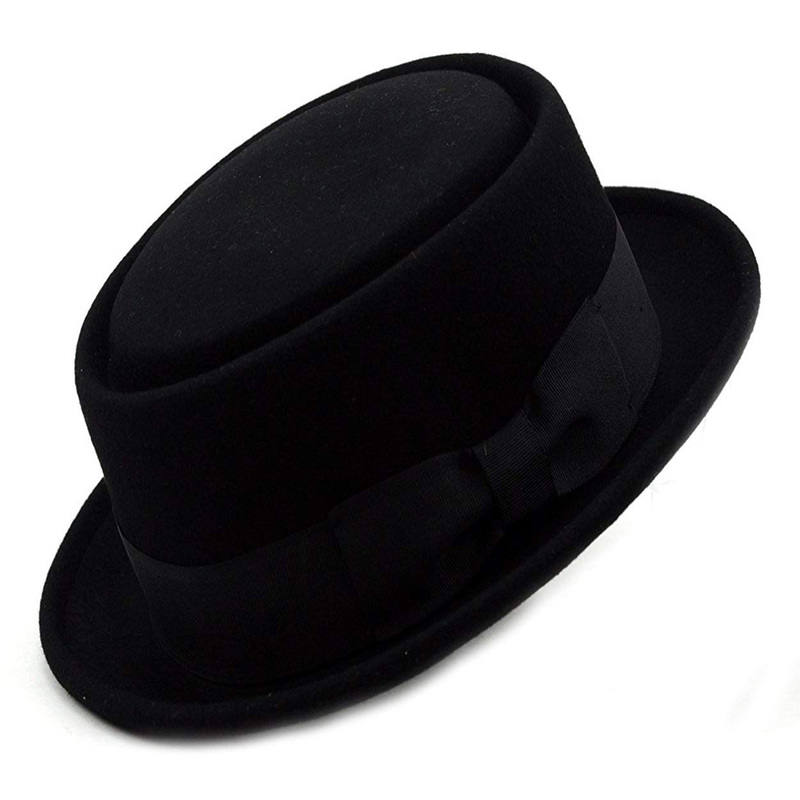 The black hat has a black ribbon around it. 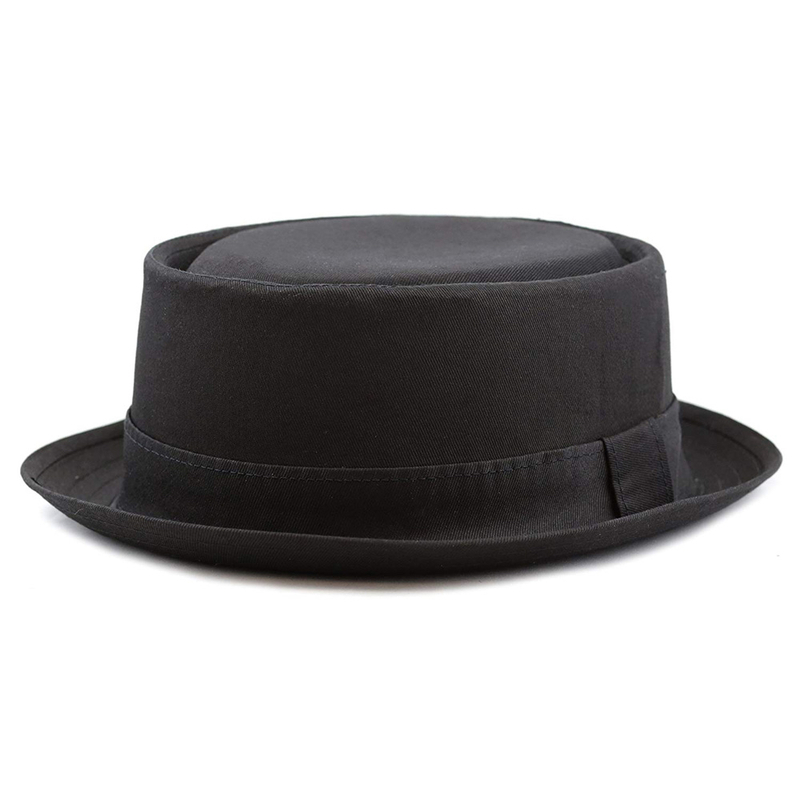 The black pork pie hat is an essential part of the Heisenberg costume. 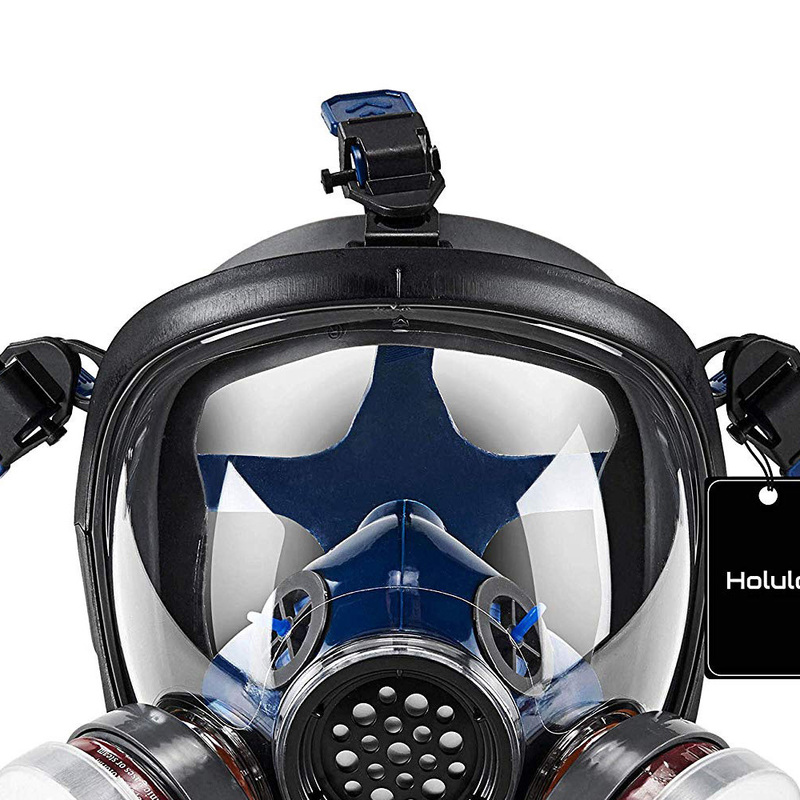 While in the role of Heisenberg Walter White likes to try and hide his real identity. 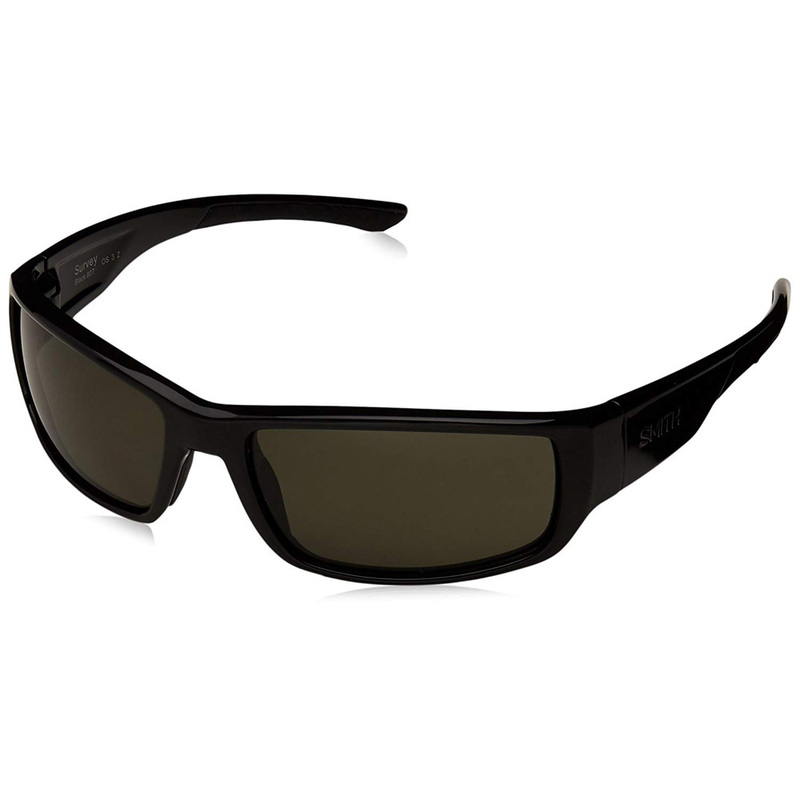 To do this he wears a pair of black sunglasses. 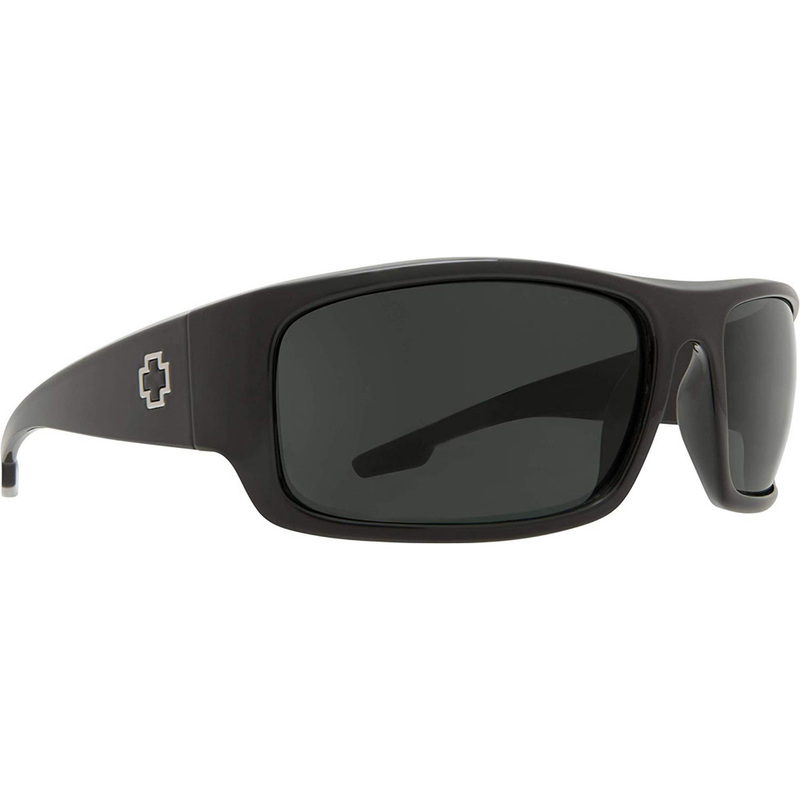 Smith Optical Turnable sunglasses to be exact. 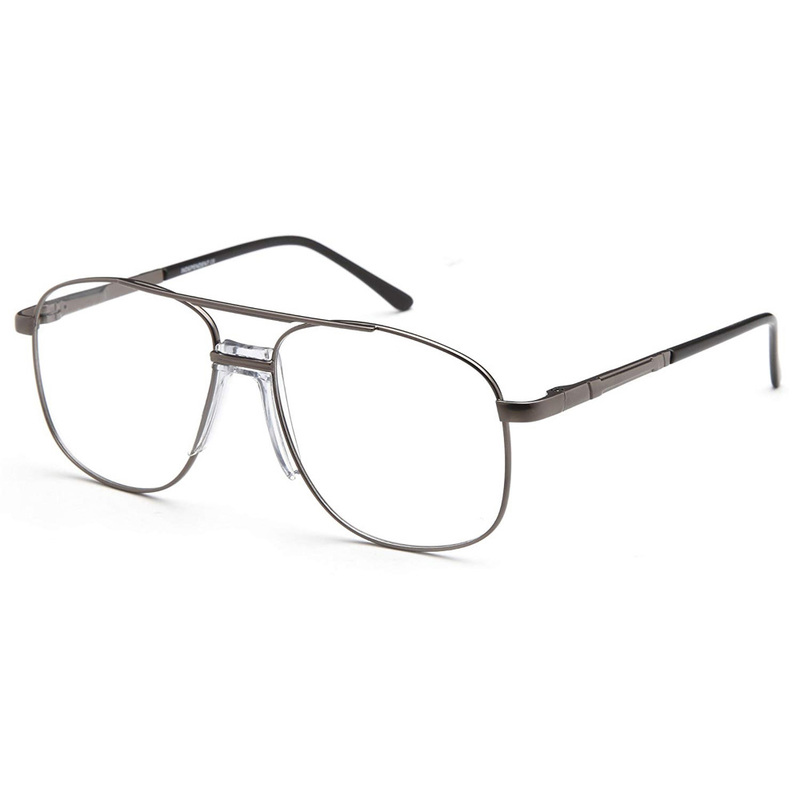 If you struggle to find a pair of these exact glasses are want something cheaper there are plenty of readily available alternatives available for your Heisenberg costume. 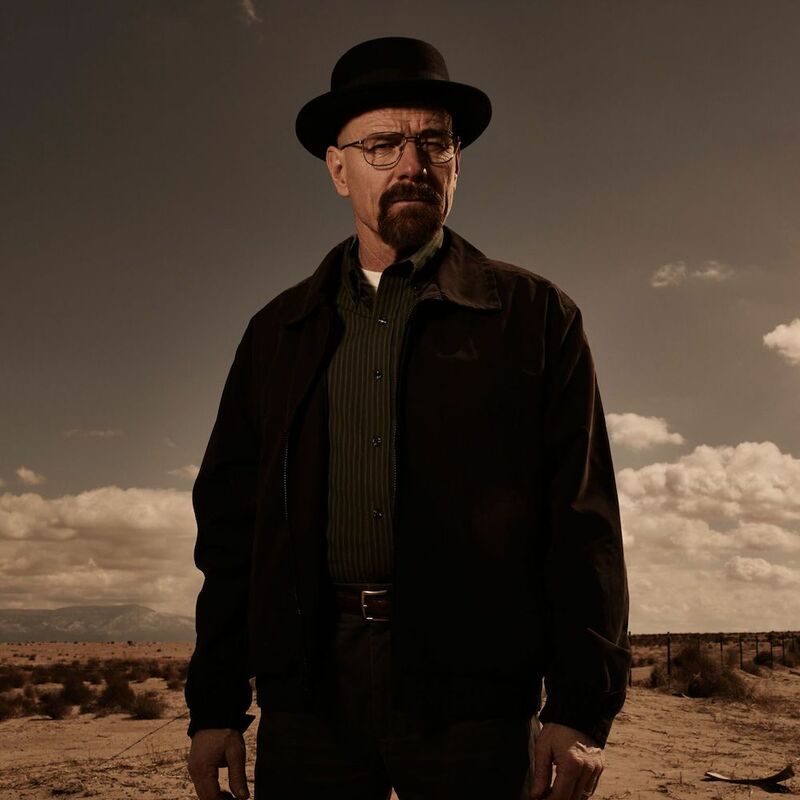 While in the character of Heisenberg, Walter White is seen wearing a range of jackets depending on the season of Breaking Bad. 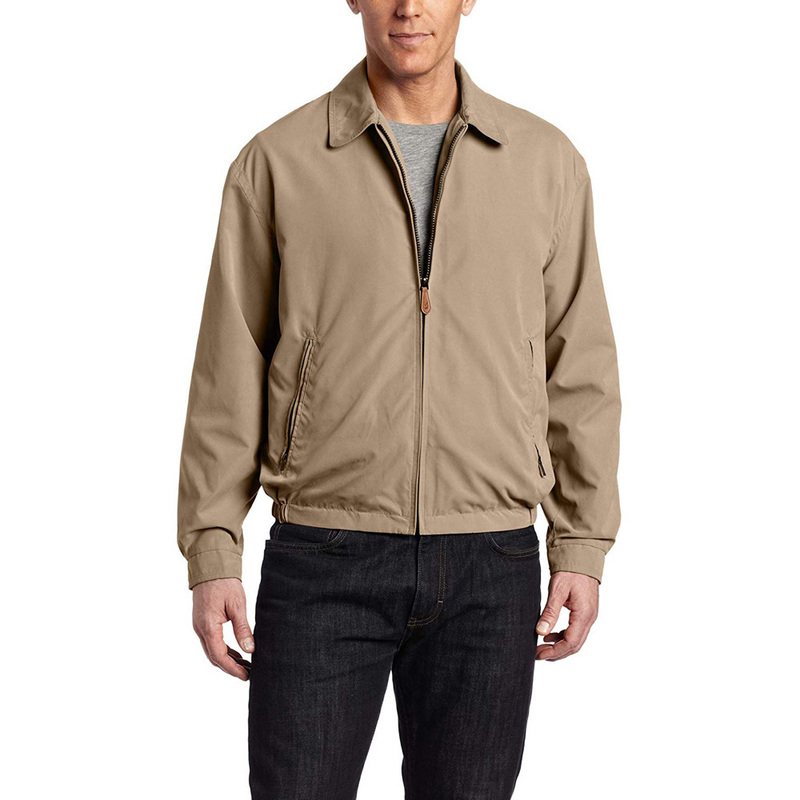 For your Heisenberg costume you need to wear a lightweight mens jacket. 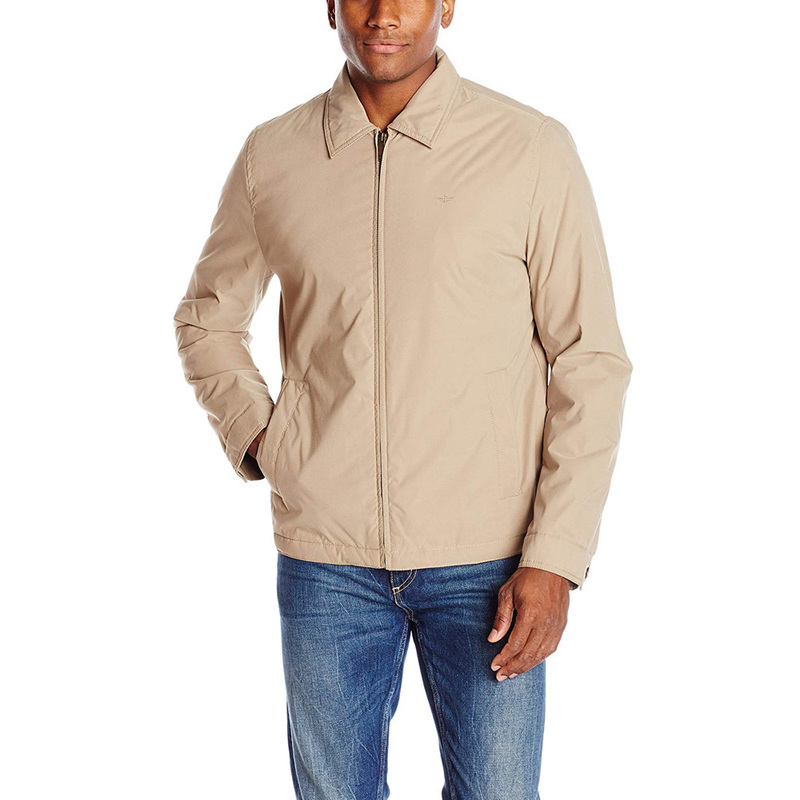 You have the option of a dark brown jacket like in the photo or a light beige jacket which Walter White wears in the earlier seasons of Breaking Bad. 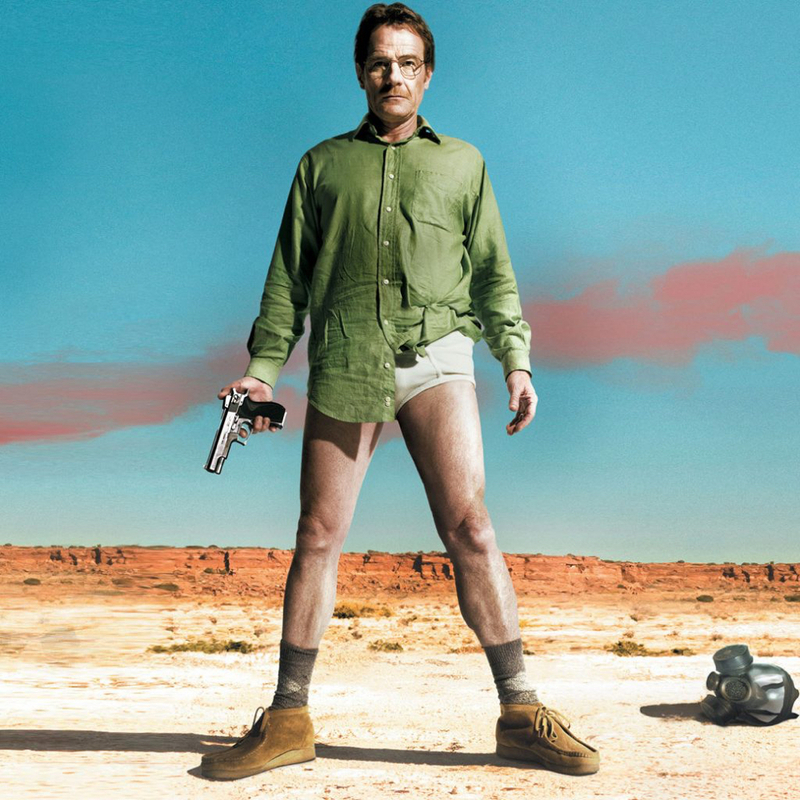 Walter White whether himself or as Heisenberg always wears similar style trousers. 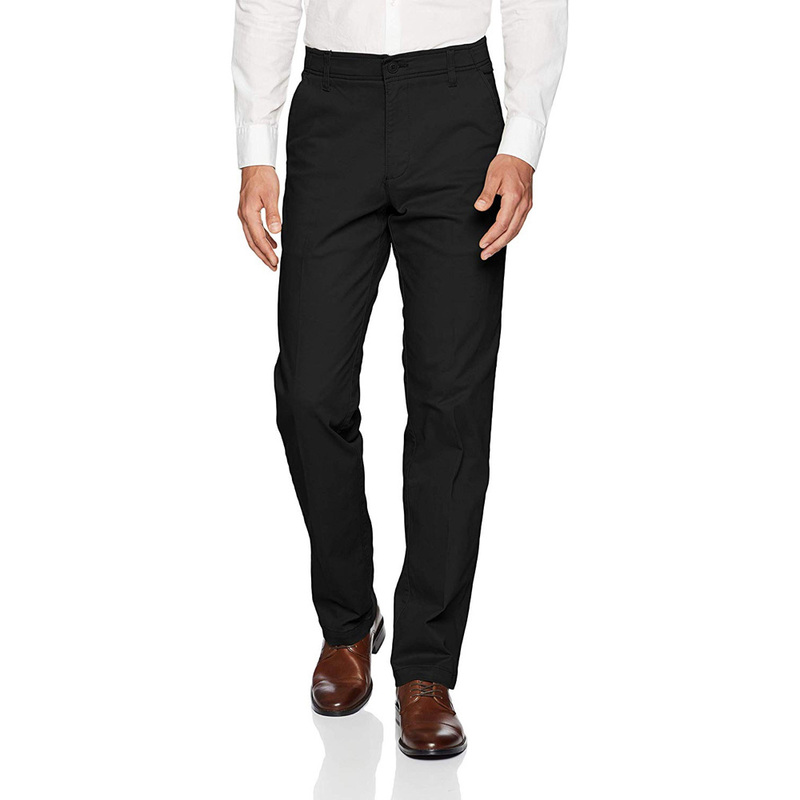 Your Heisenberg costume’s trousers should have you dress like Walter White wearing either a pair of mens dress trousers or, like the later seasons of Breaking Bad, a pair of black jeans. 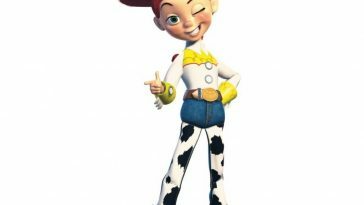 This is down to personal preference. 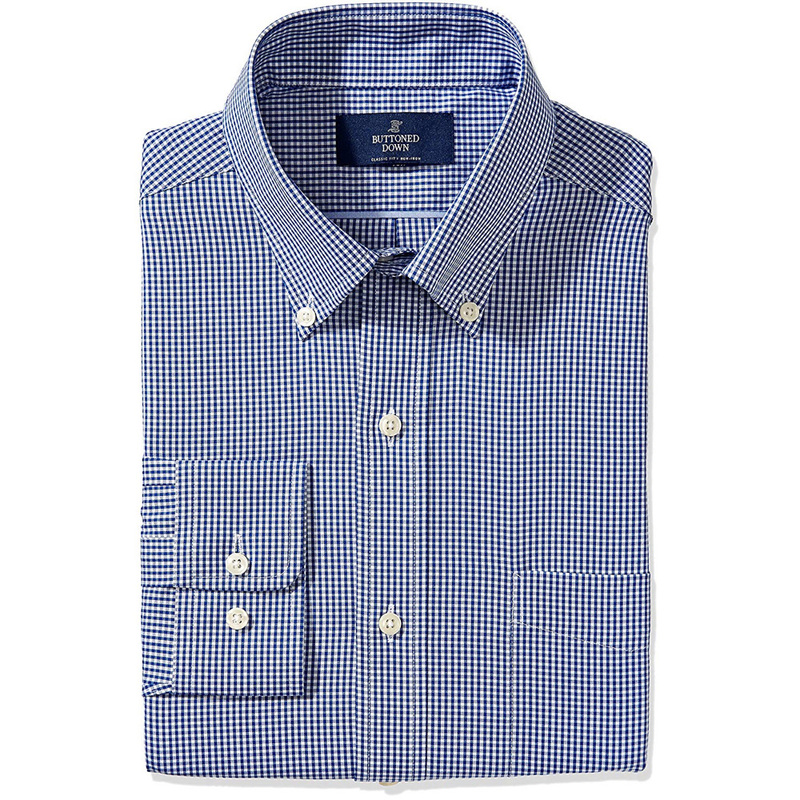 To dress like Walter White it is important to pay attention to the shirt that you wear. 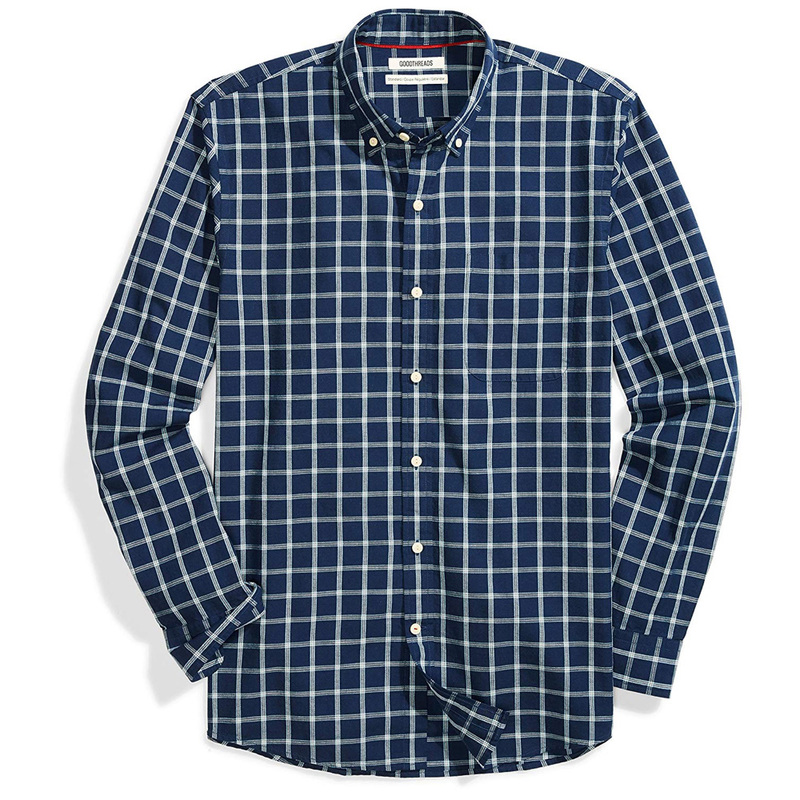 The style of shirt that Walter White wears through every season of Breaking Bad remains the same. 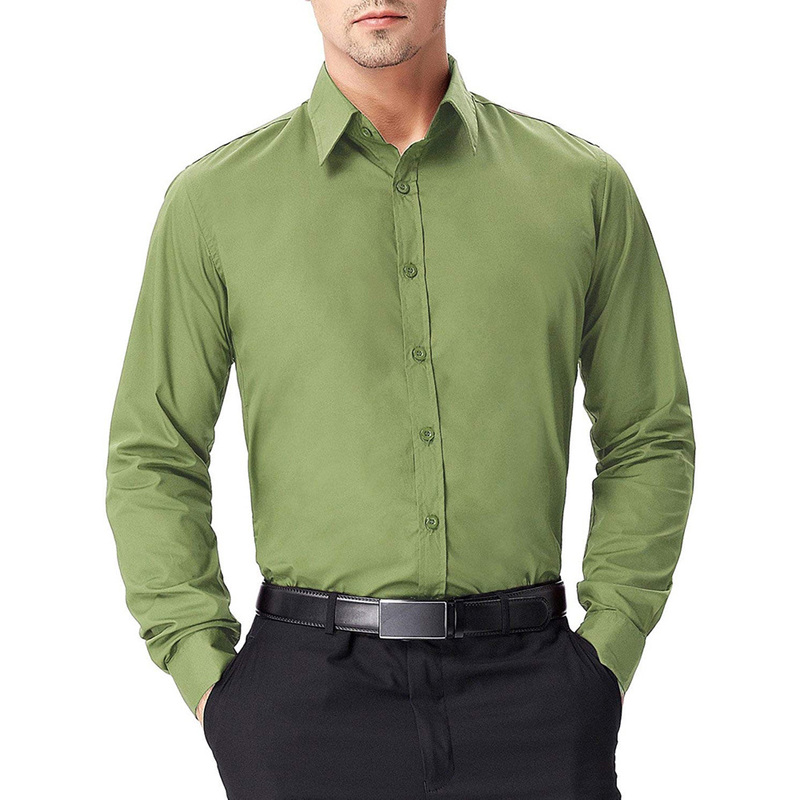 He tends to wear shirts which are thin and with long sleeves. 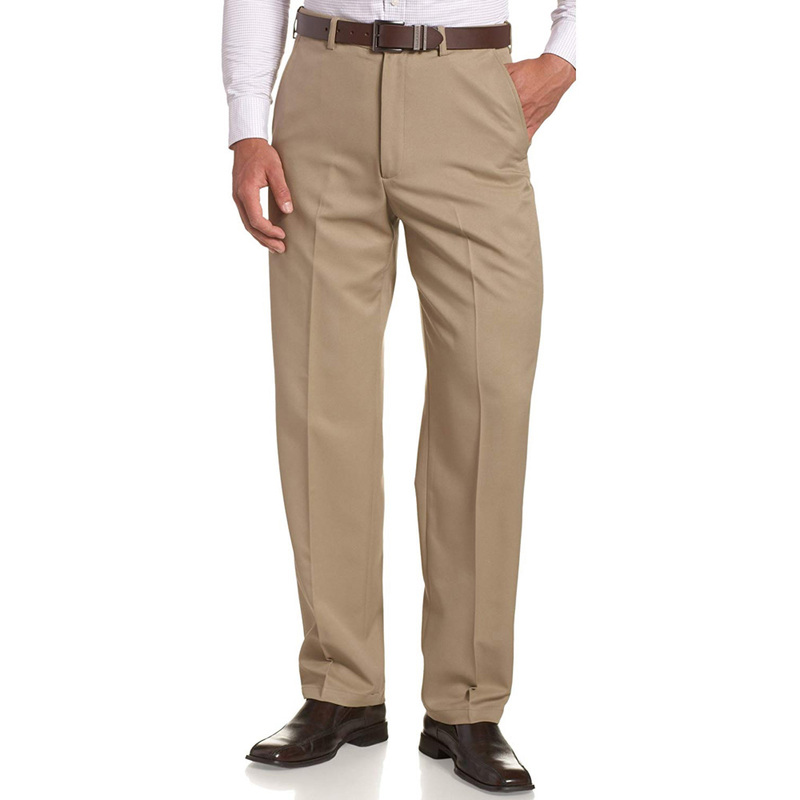 They do range in color as time progresses so you have plenty of options for your Walter White costume. 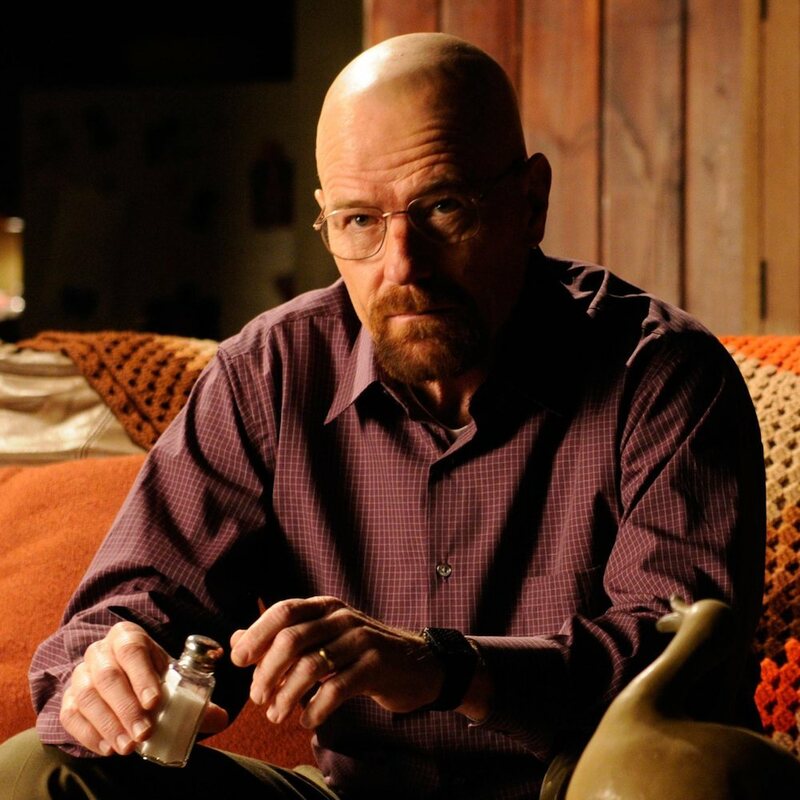 You can dress like Walter White all day long but without his beard your costume will lbe lacking. 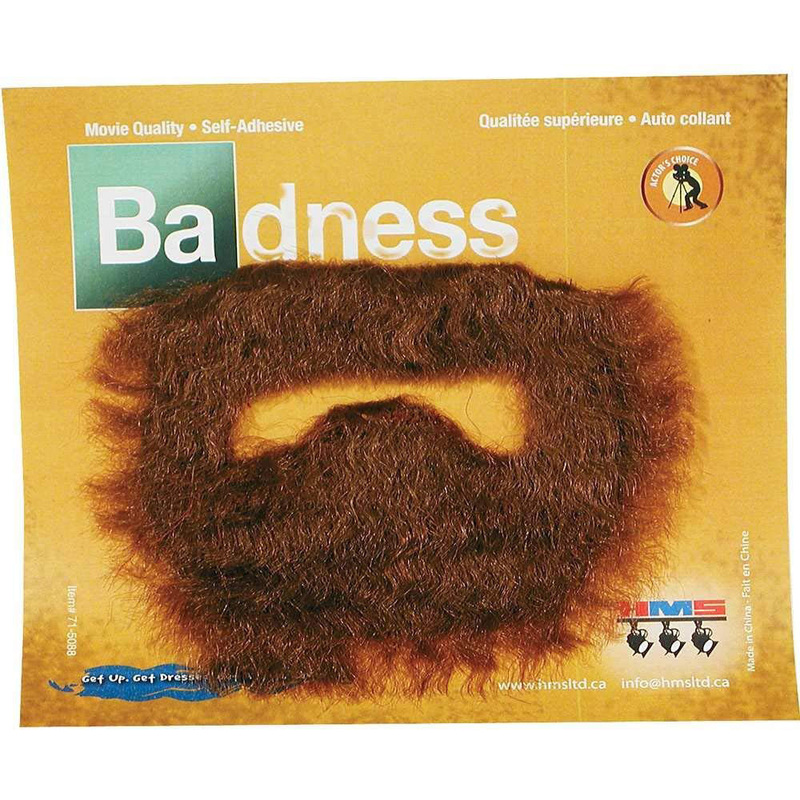 If you want to create a DIY Walter White costume you have two choices for the facial hair. 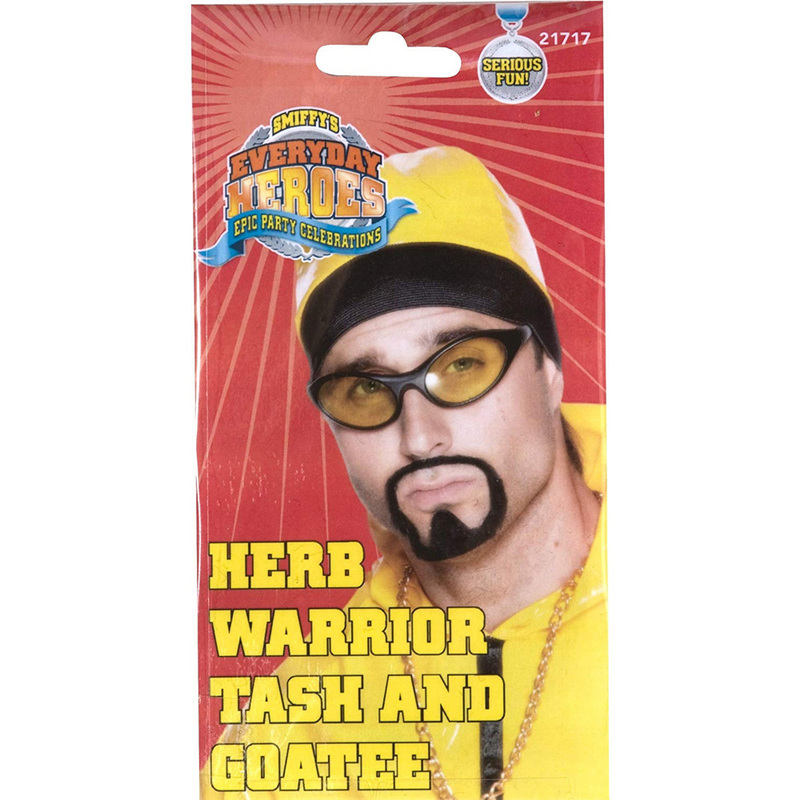 If you have the time you could simply grow your own facial hair. 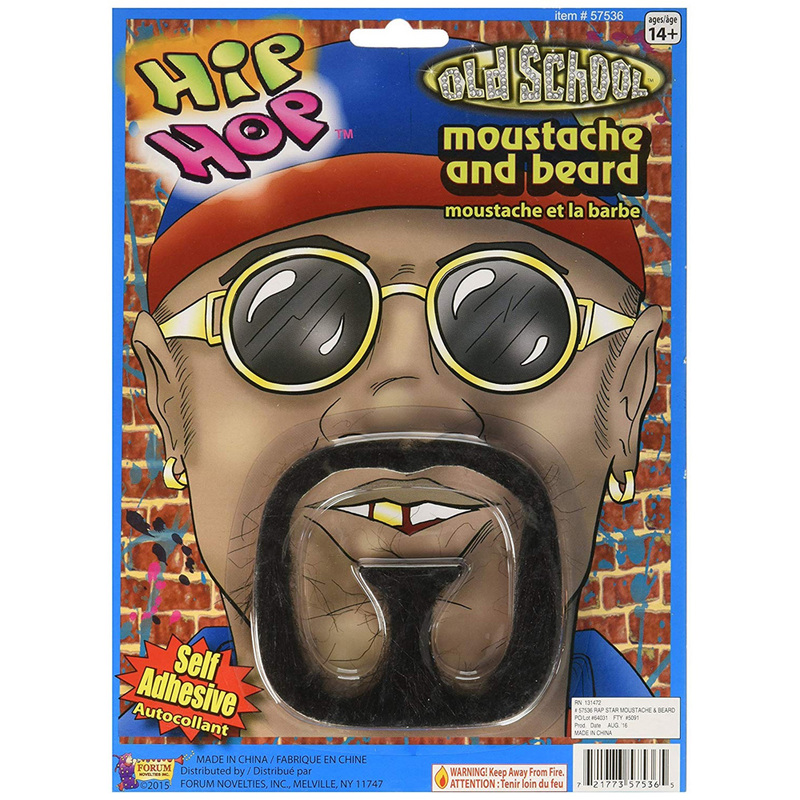 If that is not an option you can always buy a fake beard that is similar in style to his. 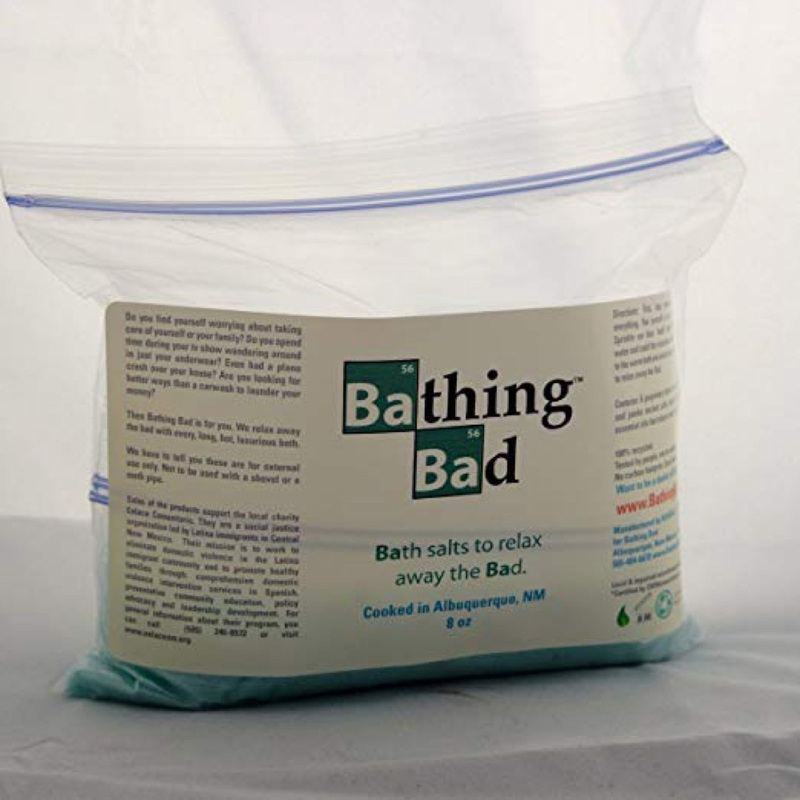 Buy more Breaking Bad stuff here.